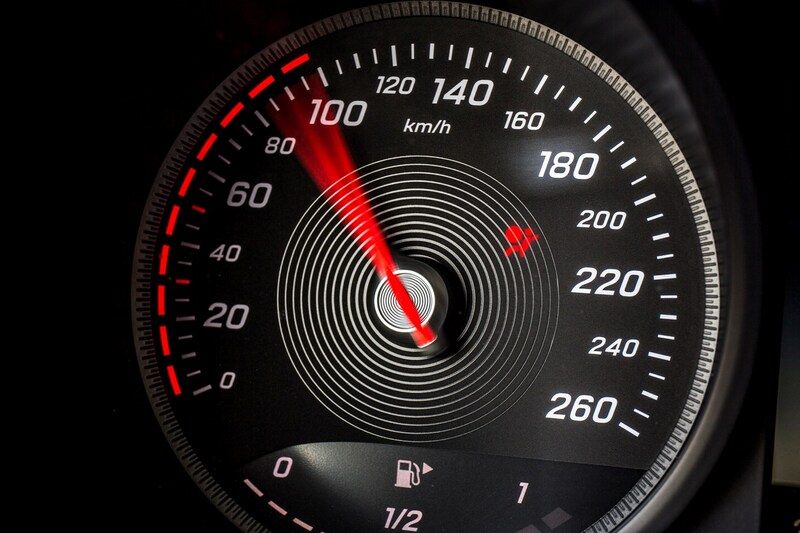 Insurance group: 31 - 40 How much is it to insure? 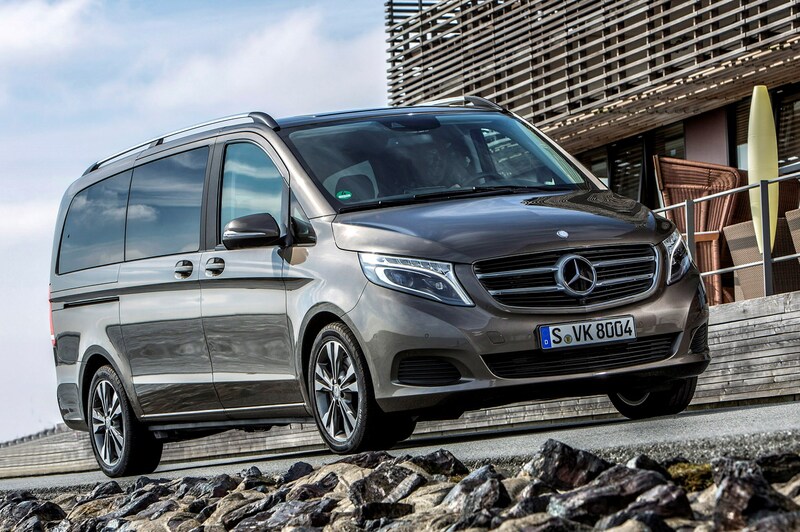 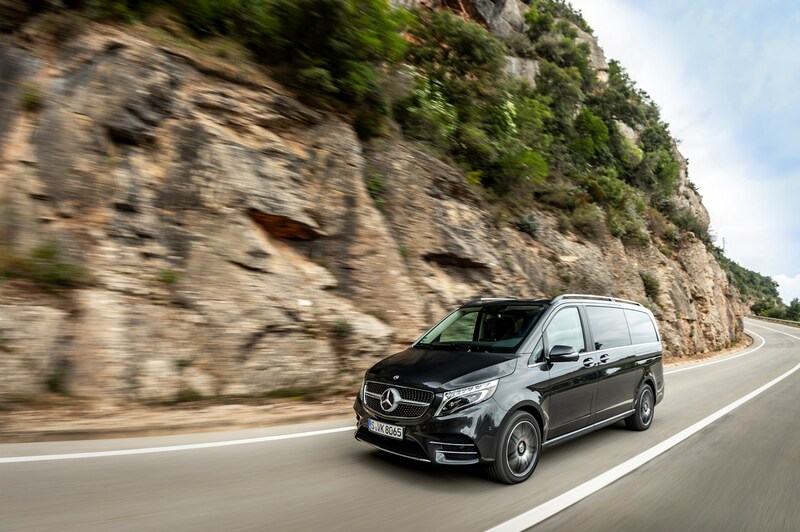 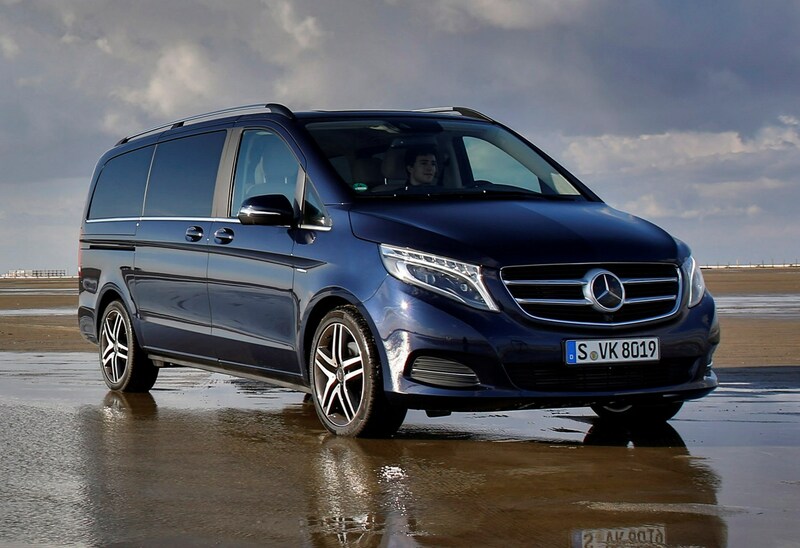 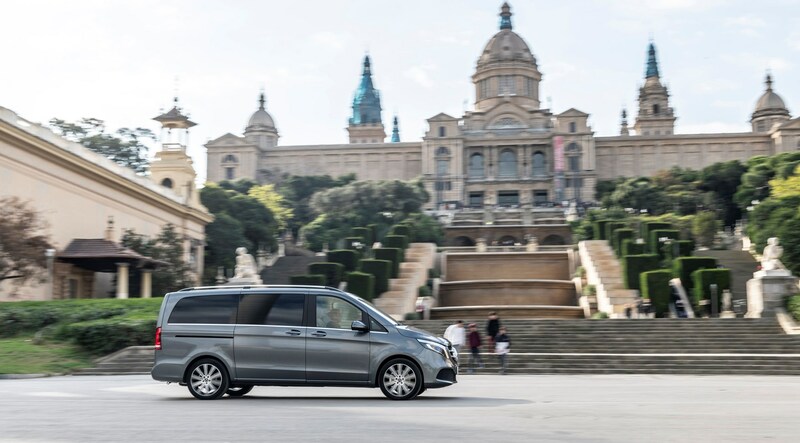 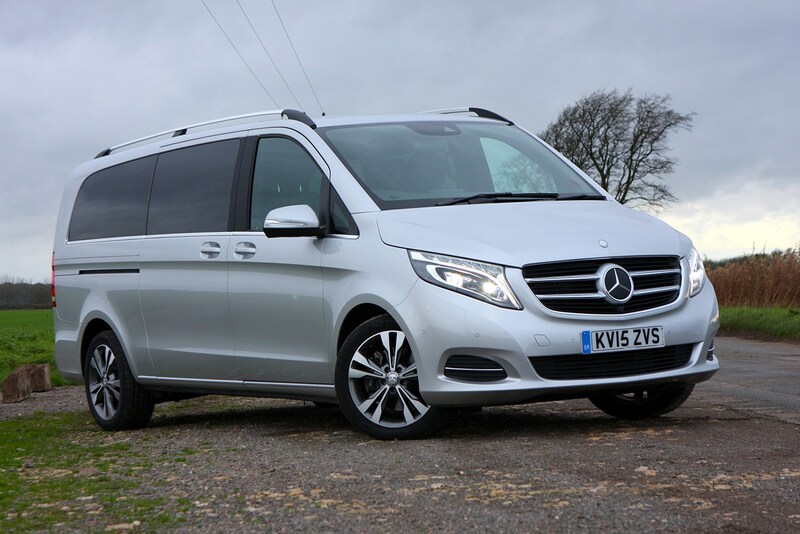 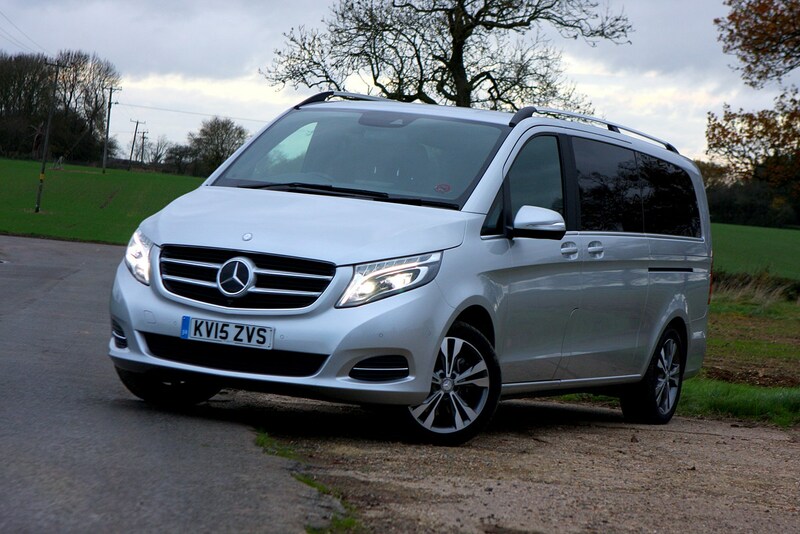 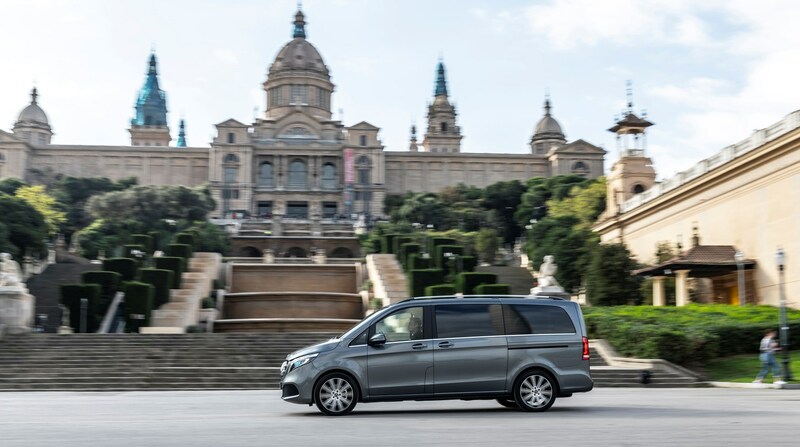 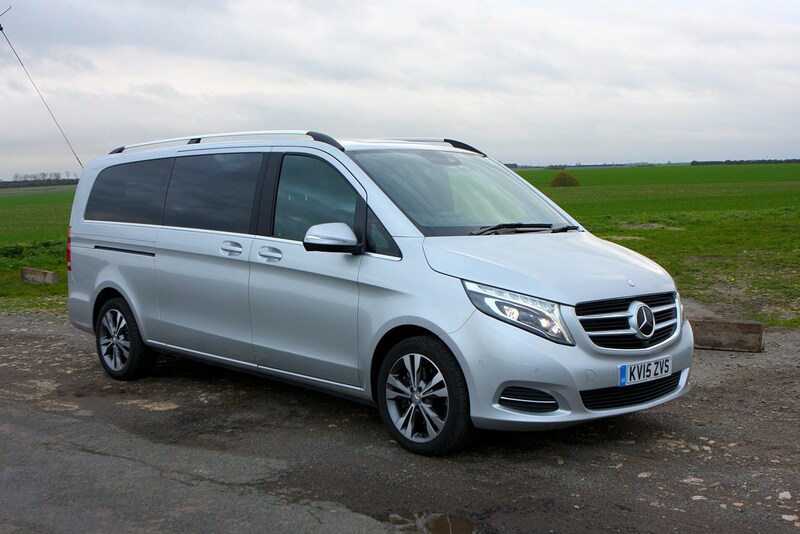 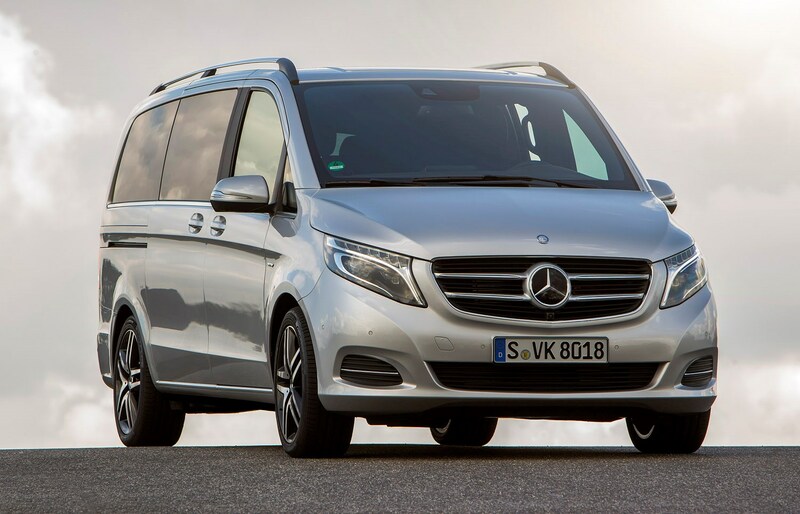 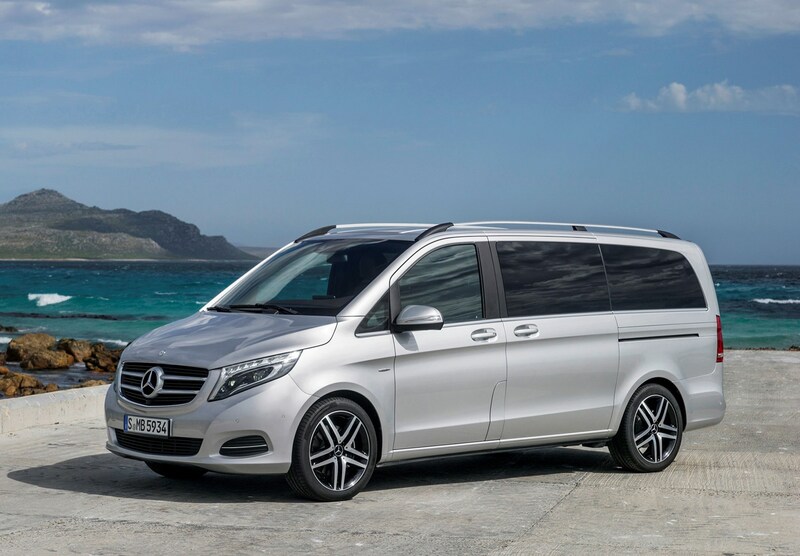 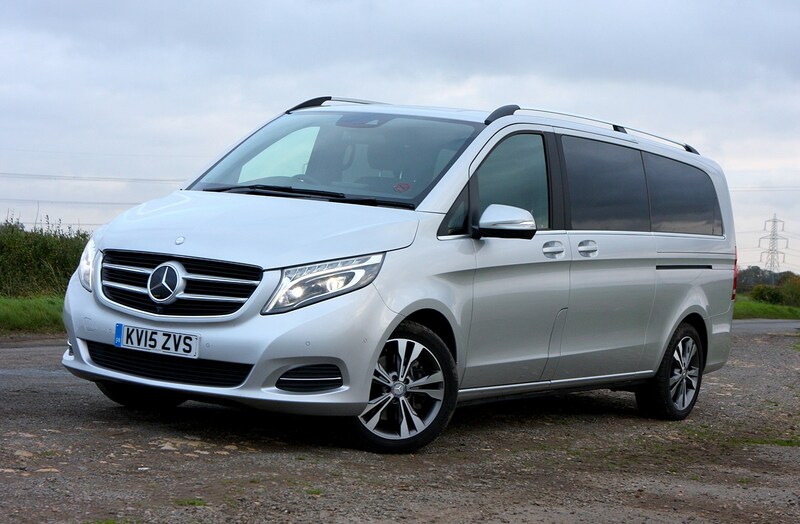 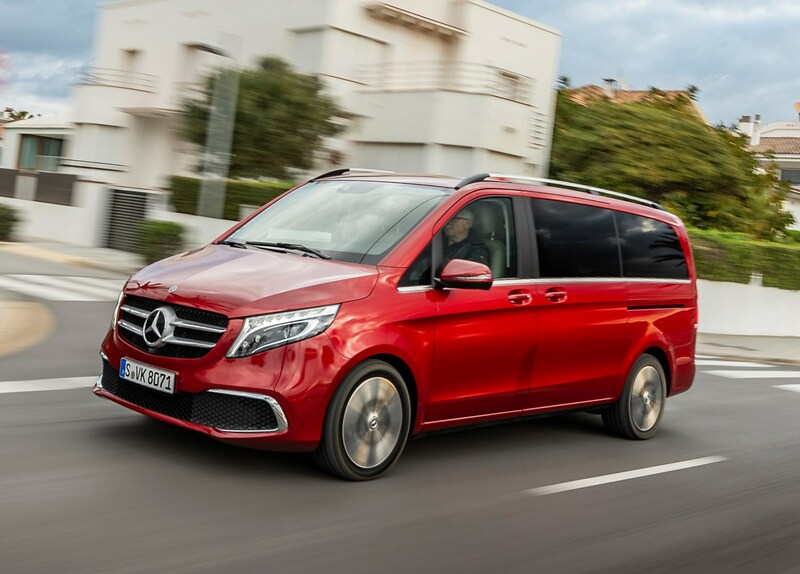 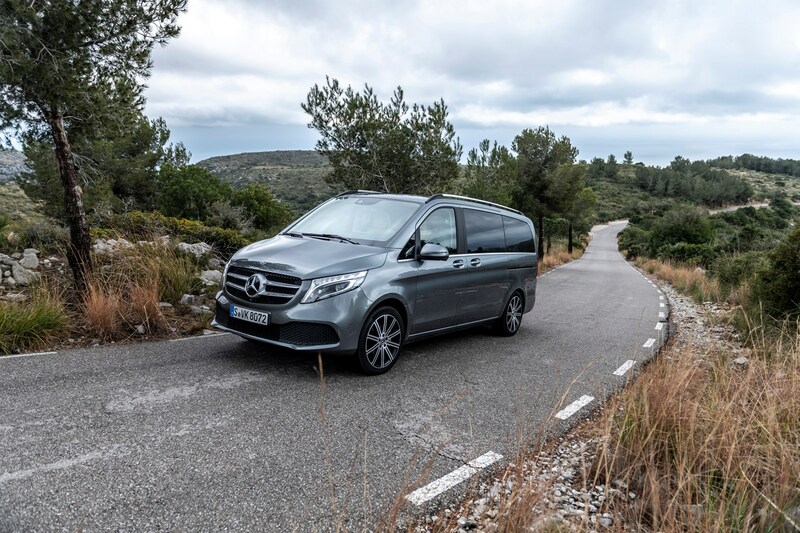 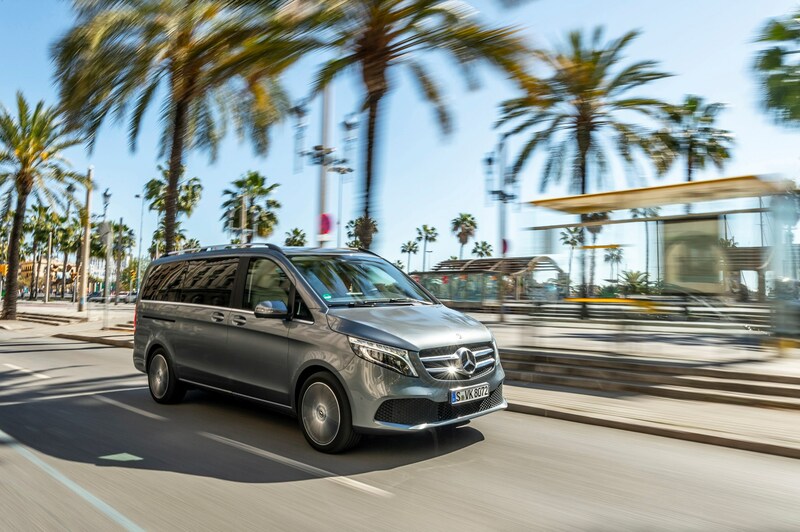 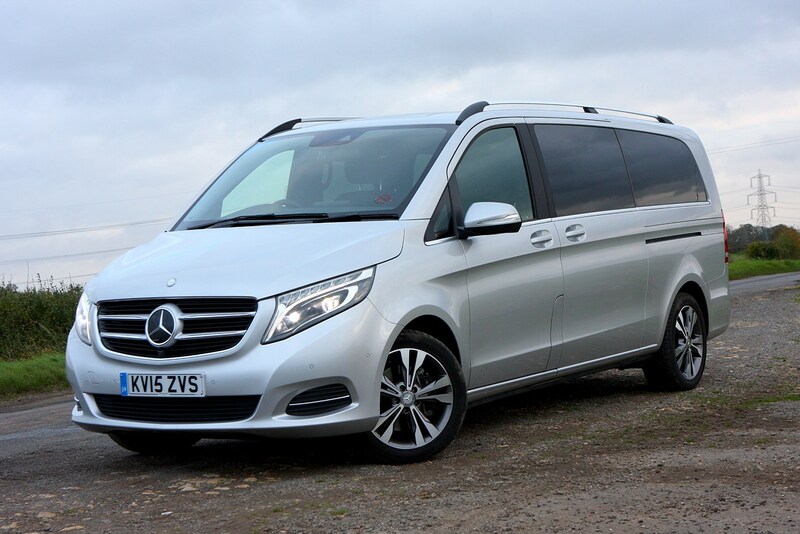 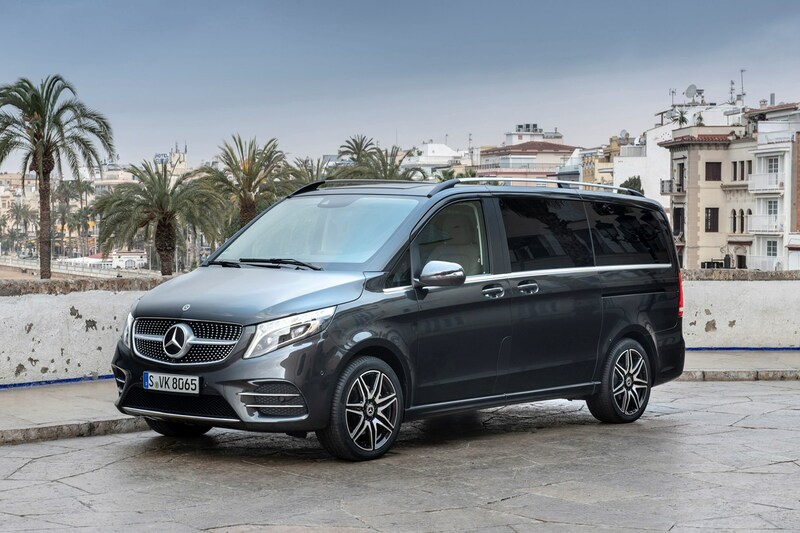 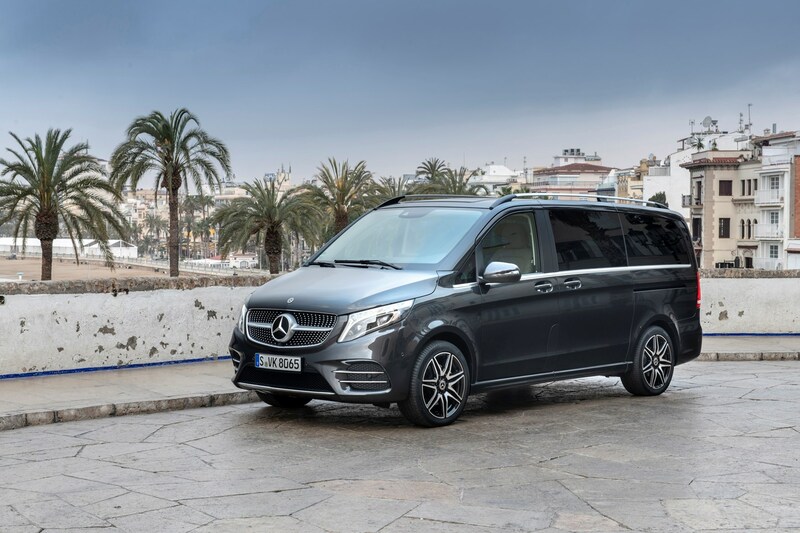 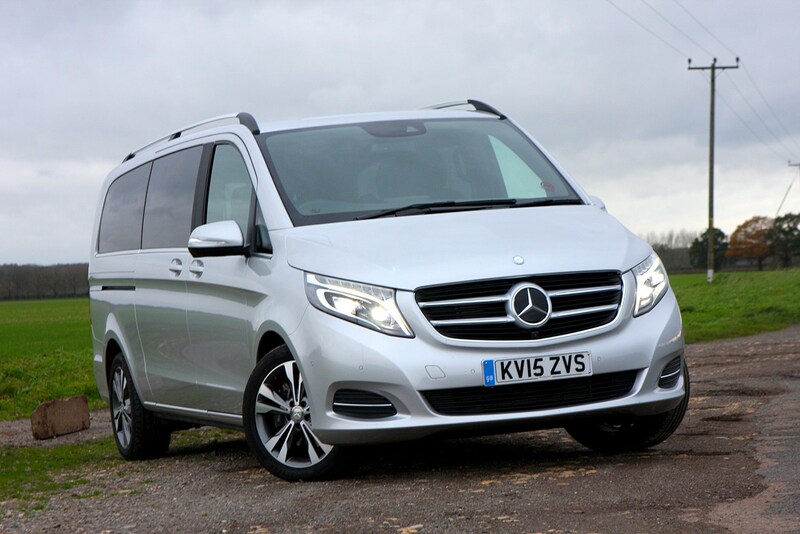 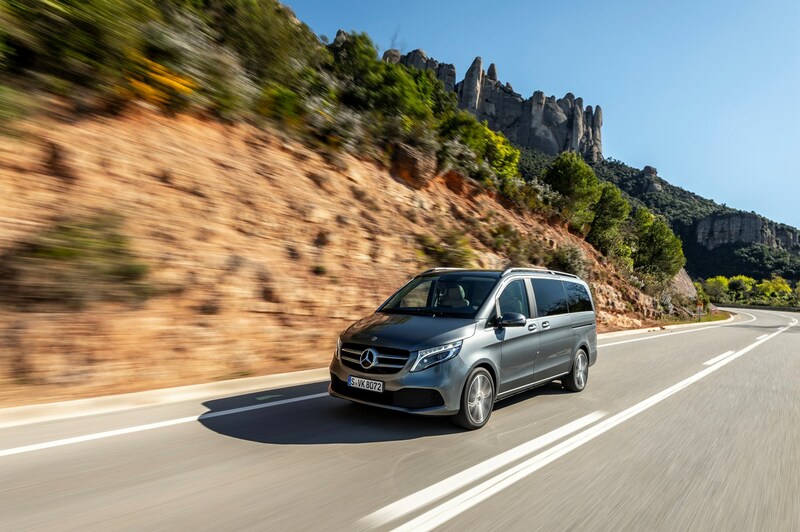 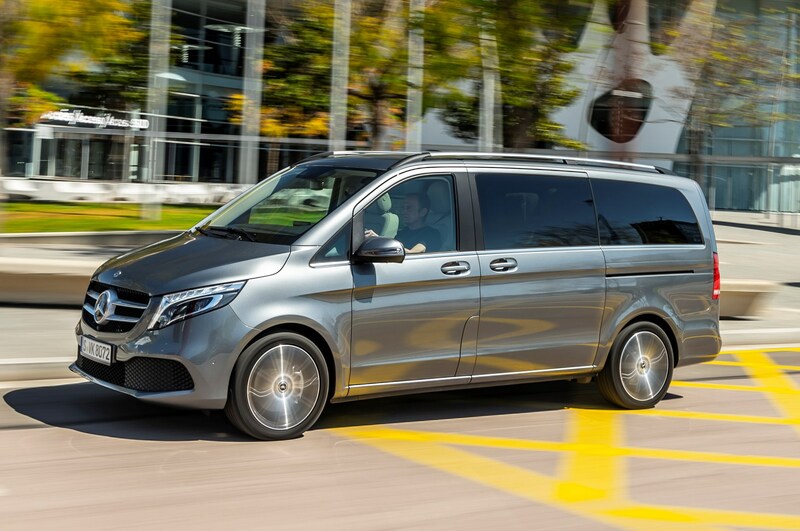 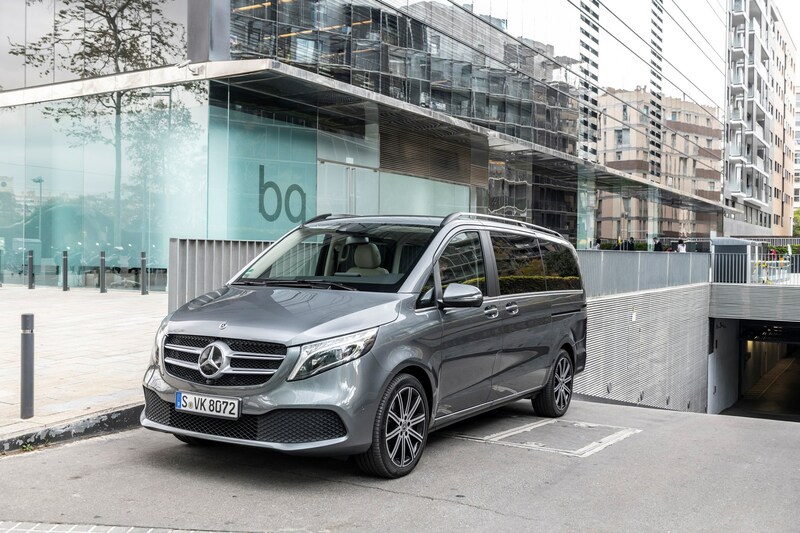 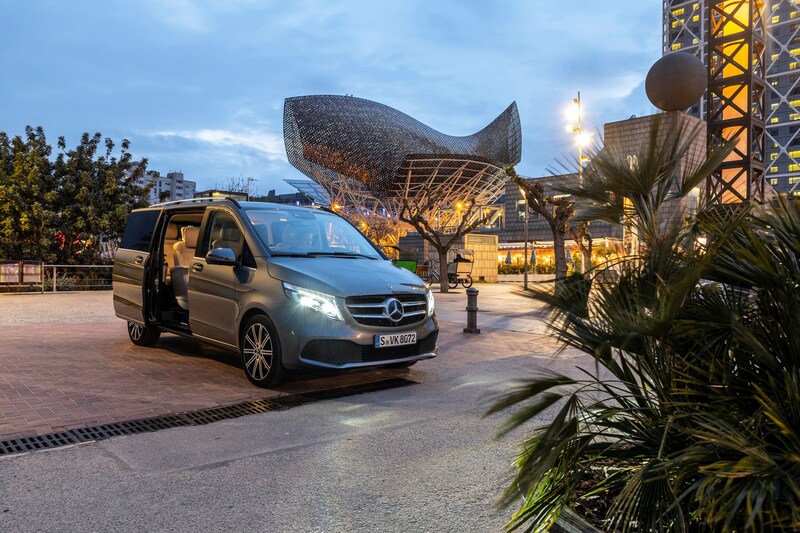 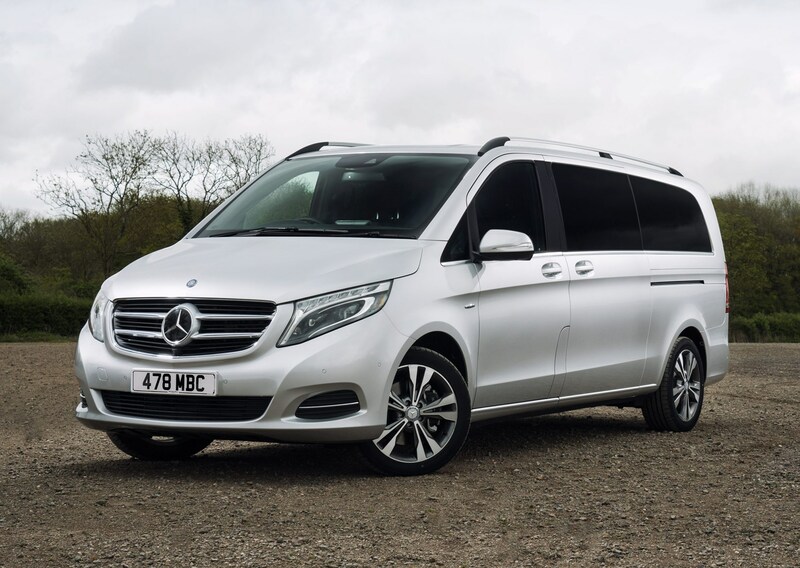 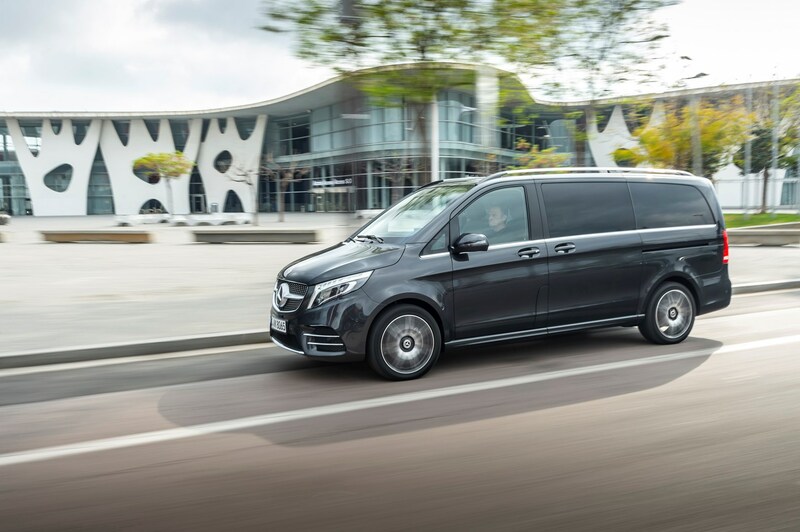 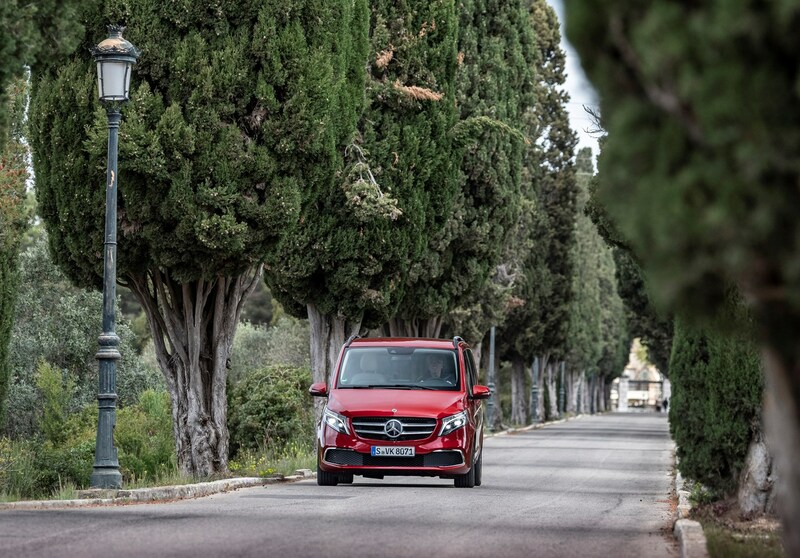 This gargantuan is the Mercedes-Benz V-Class – a premium MPV designed to appeal to well-heeled larger families, active sporty types who carry lots of equipment around and companies offering luxury transport services. 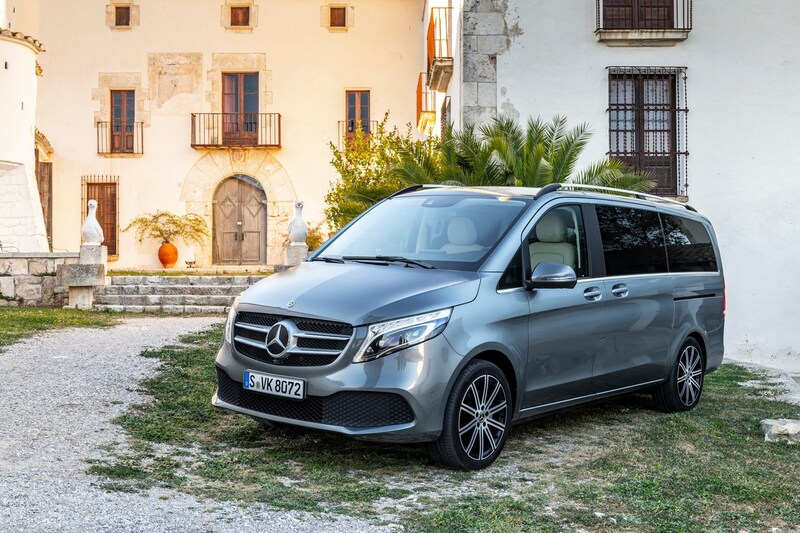 It’s the third generation of this type of Mercedes, which is essentially a luxurious people-carrier version of the Vito van. 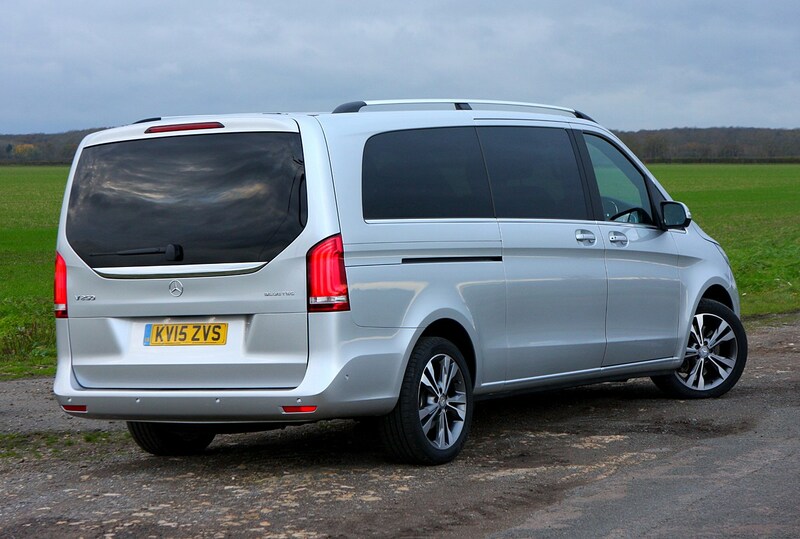 This Mk3 V-Class resurrected the name applied to the first iteration, back in 1996, and replaced the subsequent Viano-branded model in 2015. 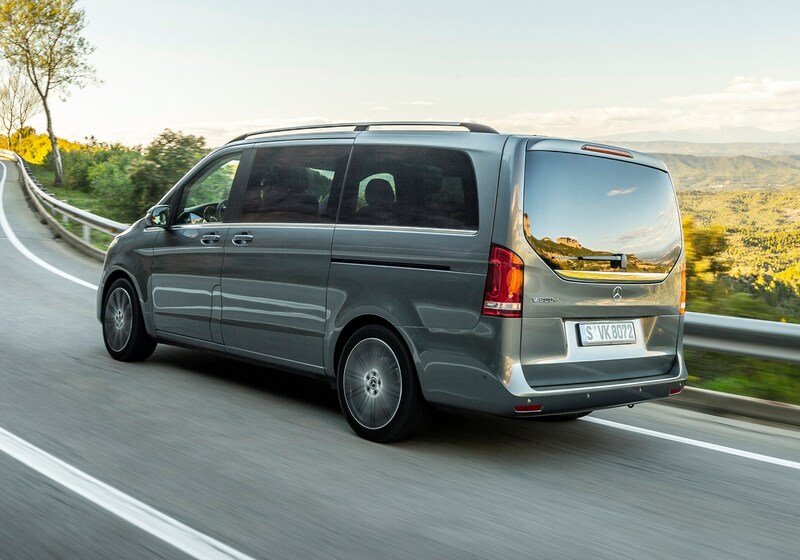 It has few direct rivals, but chief among them is the evergreen Volkswagen Caravelle. 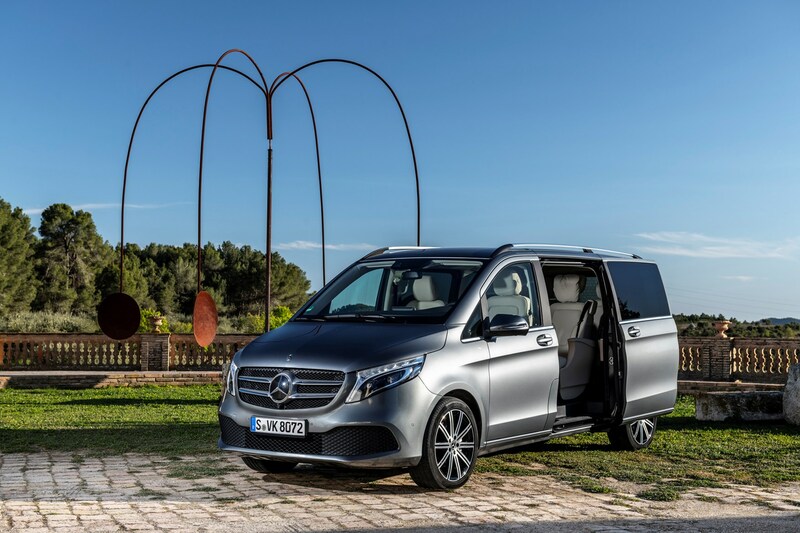 More recently, the Citroen SpaceTourer, Peugeot Traveller and Toyota Proace Verso have joined the fray – although none serve up the same degree of plushness offered by the Mercedes. 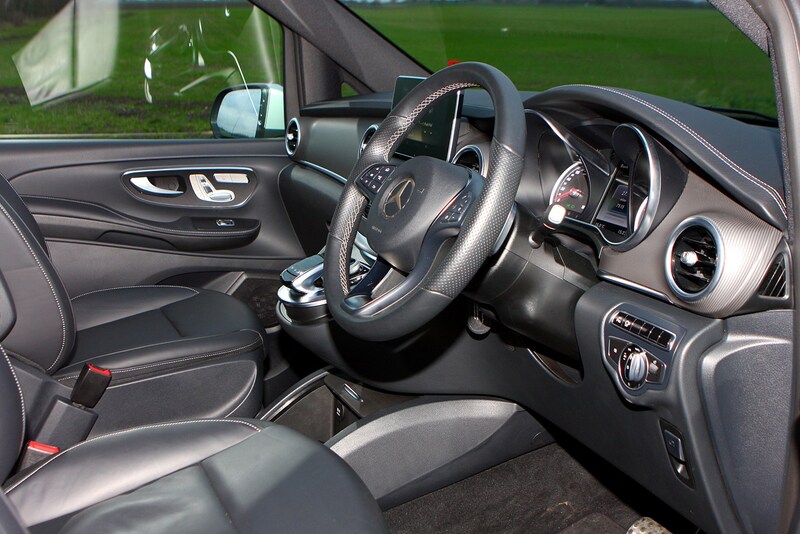 There’s also the long-in-the-tooth Hyundai i800, or if you’re after something more leftfield – and slightly more like a conventional car – then consider the less expensive SsangYong Turismo. 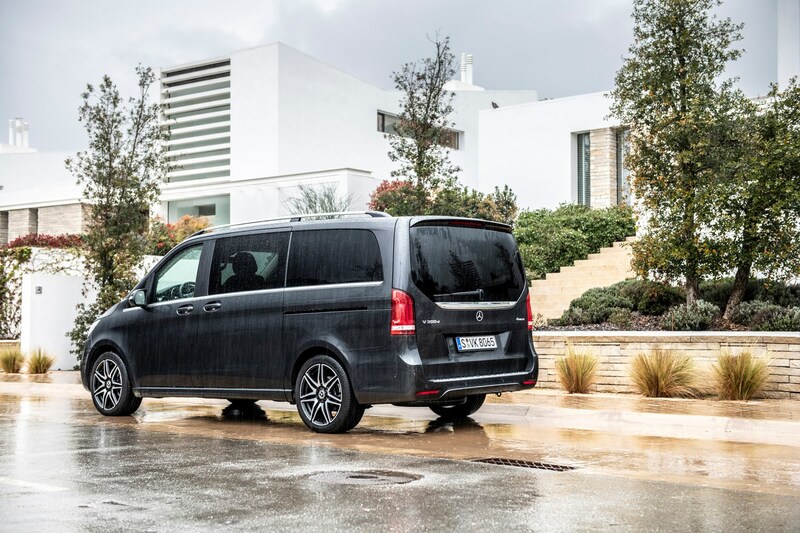 What about the Ford Galaxy, SEAT Alhambra and Volkswagen Sharan, you might ask? 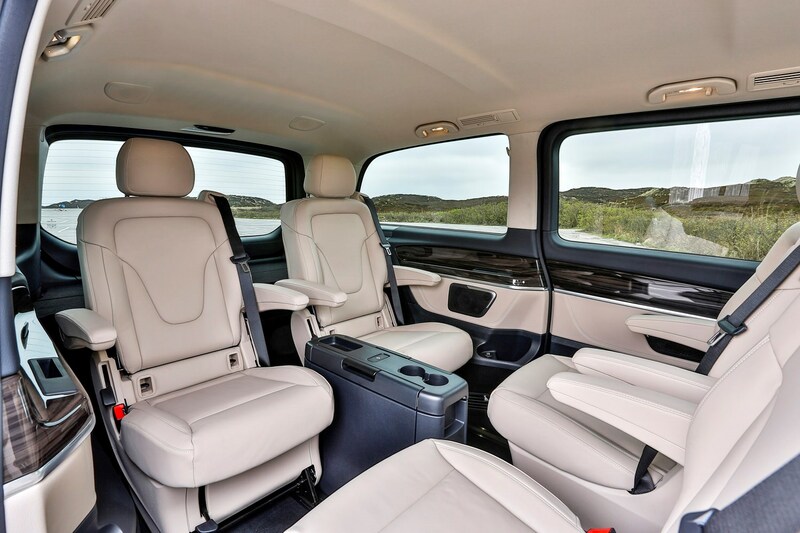 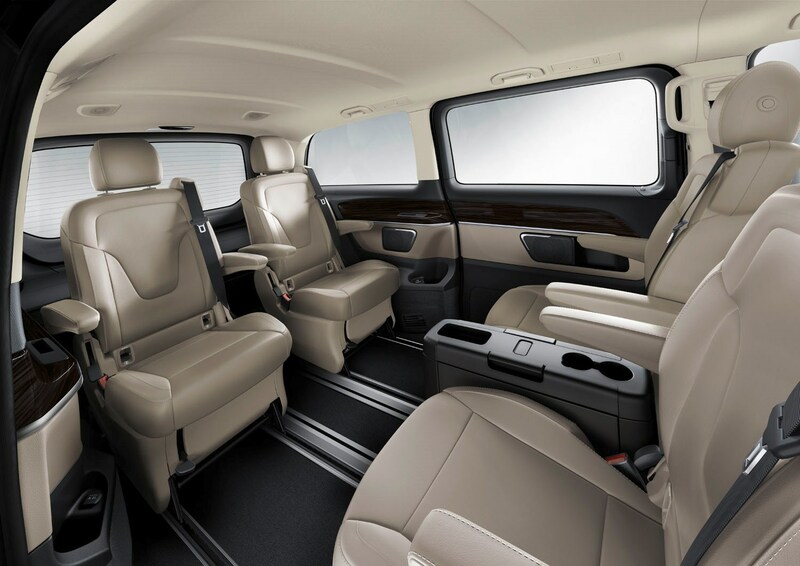 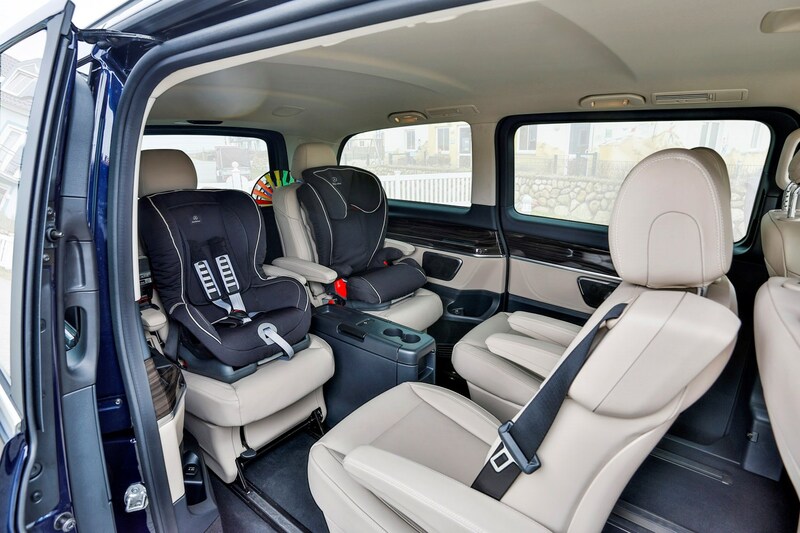 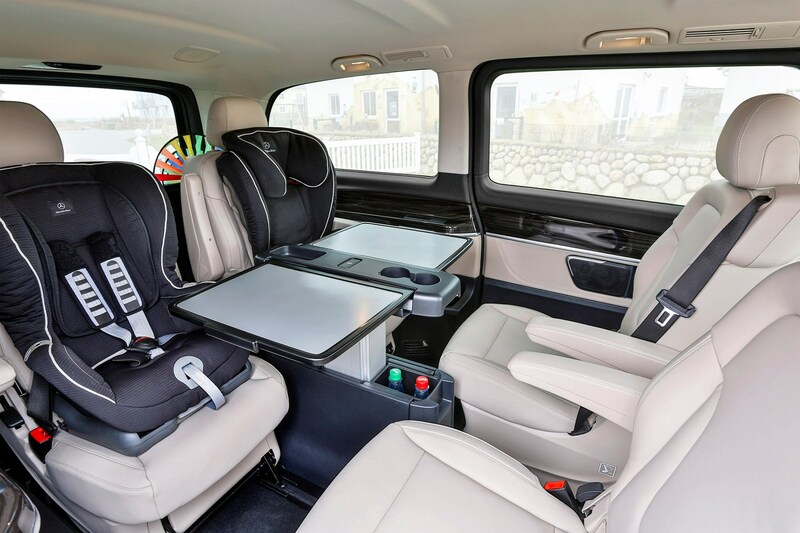 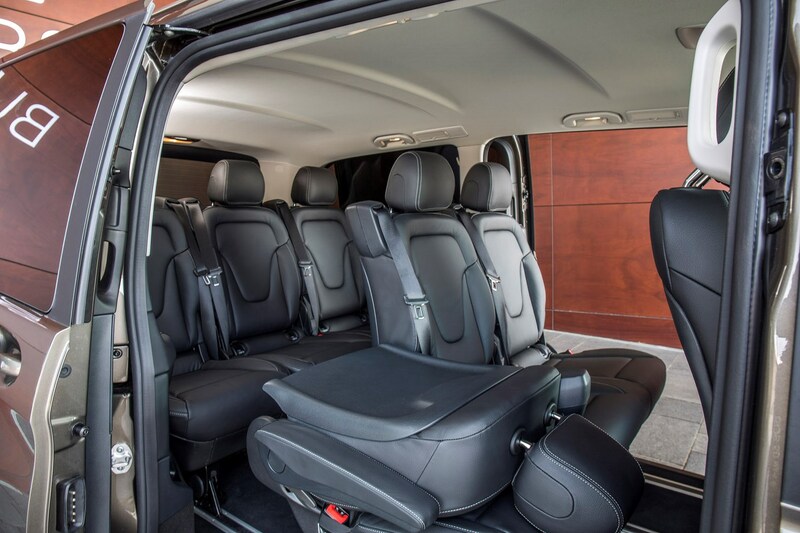 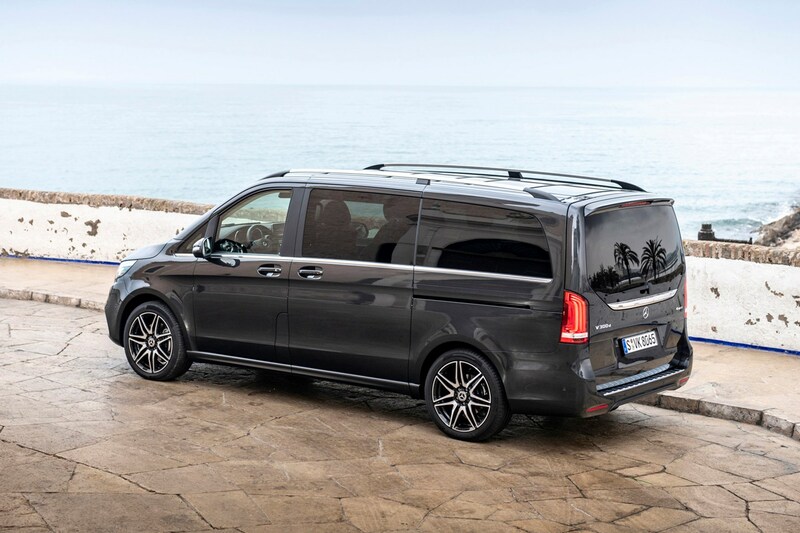 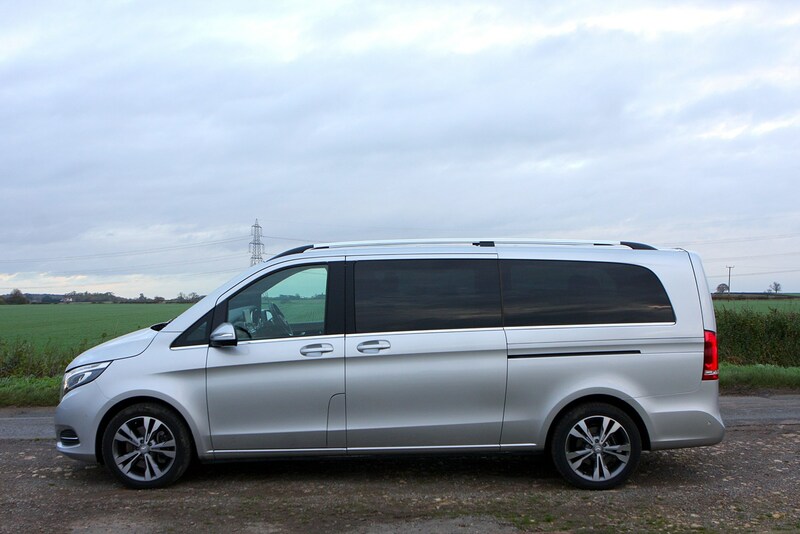 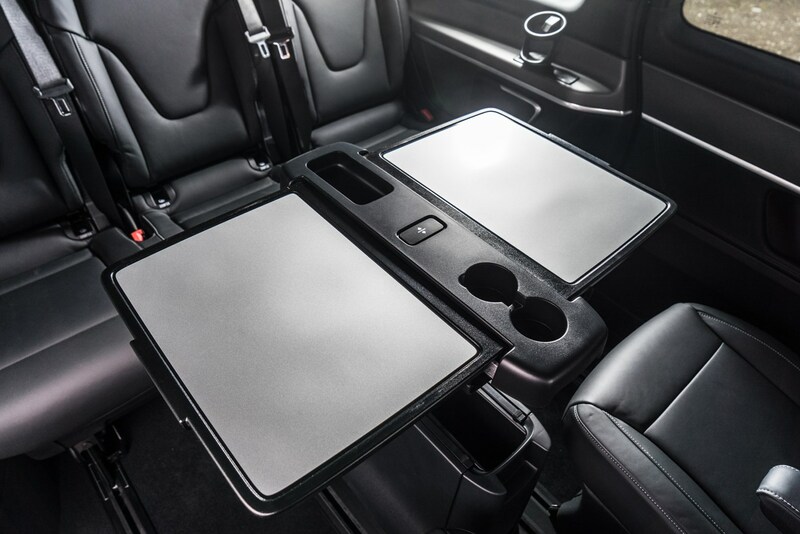 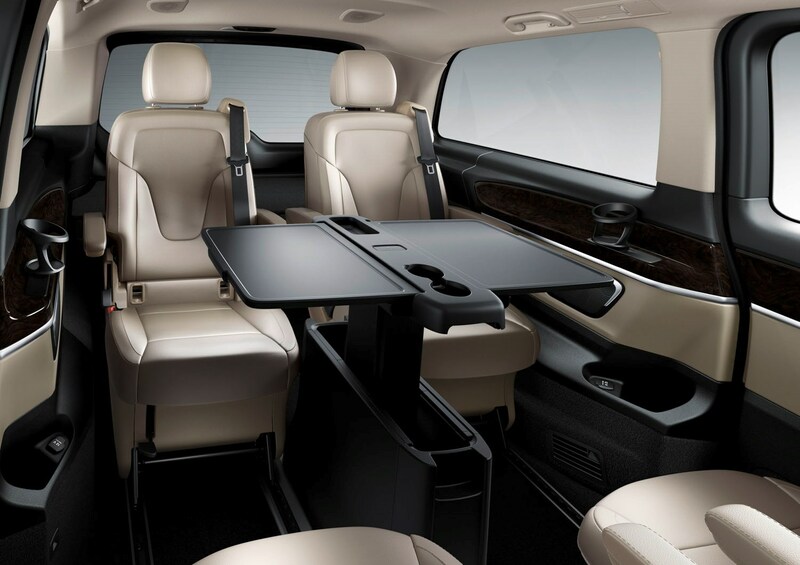 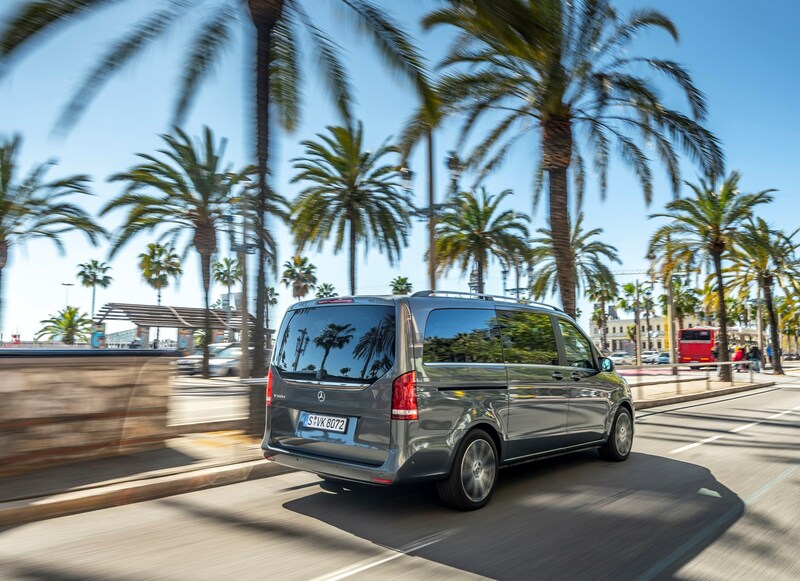 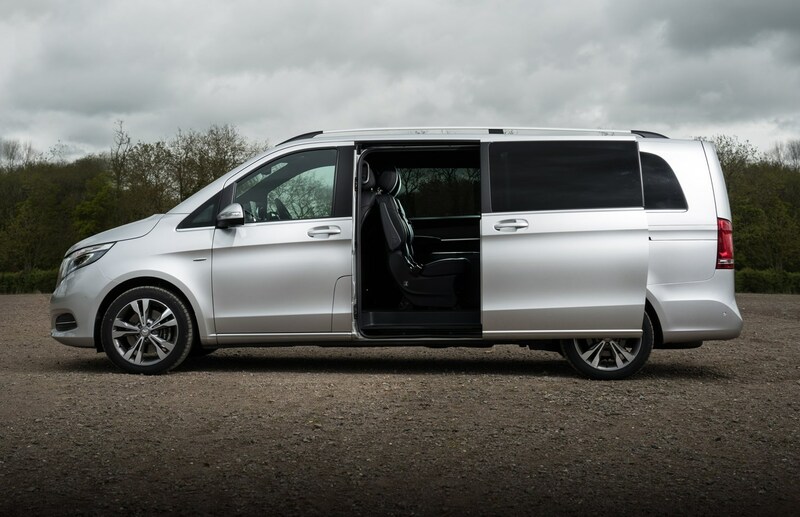 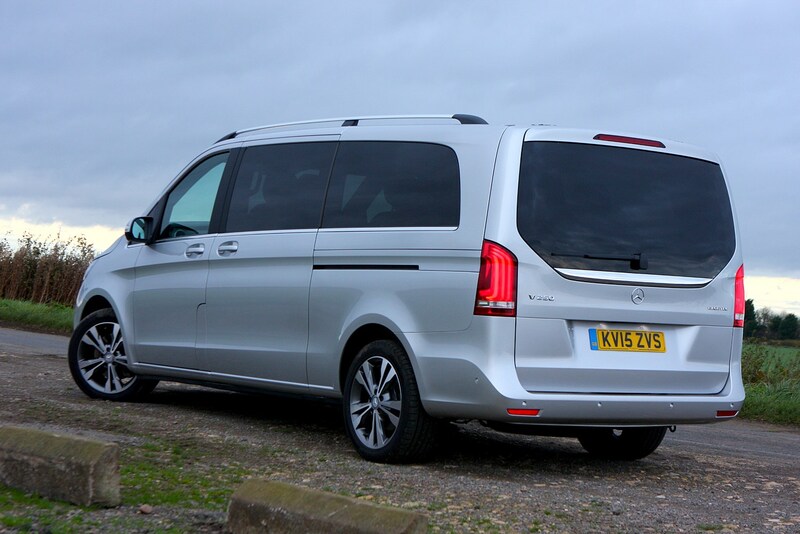 Well, each can just about seat seven adults, but you won’t fit their luggage in too – whereas the V-Class can accommodate eight and their baggage. 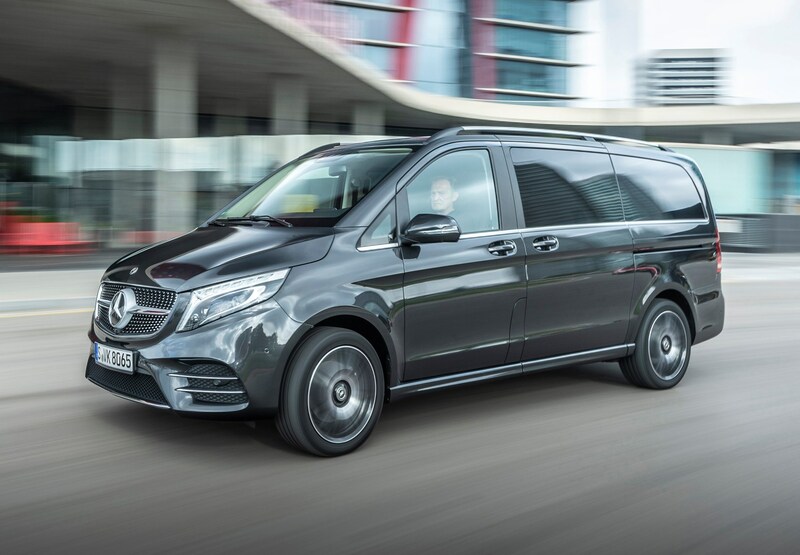 Mercedes-Benz is keen not to highlight the V-Class’s commercial vehicle ties and calls upon contemporary exterior styling cues from the likes of the C-Class to add more car-like visual features; the AMG Line trim level, complete with a sporty bodykit, enhances the exterior further. 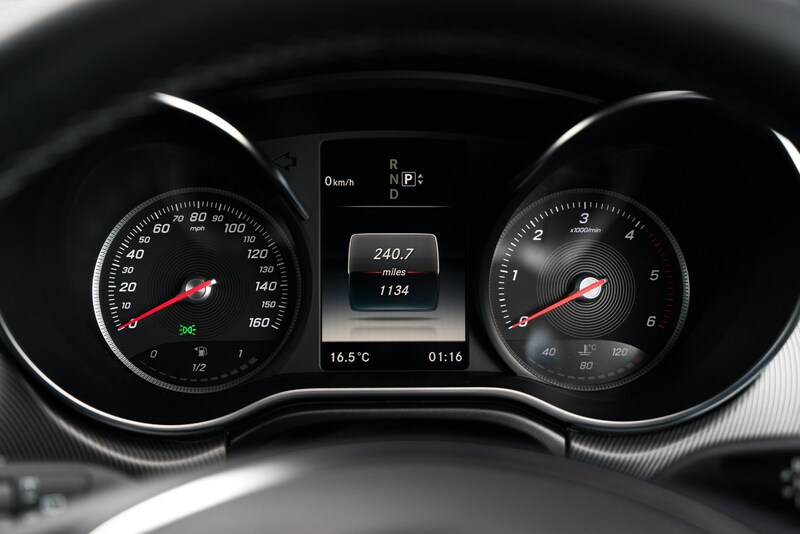 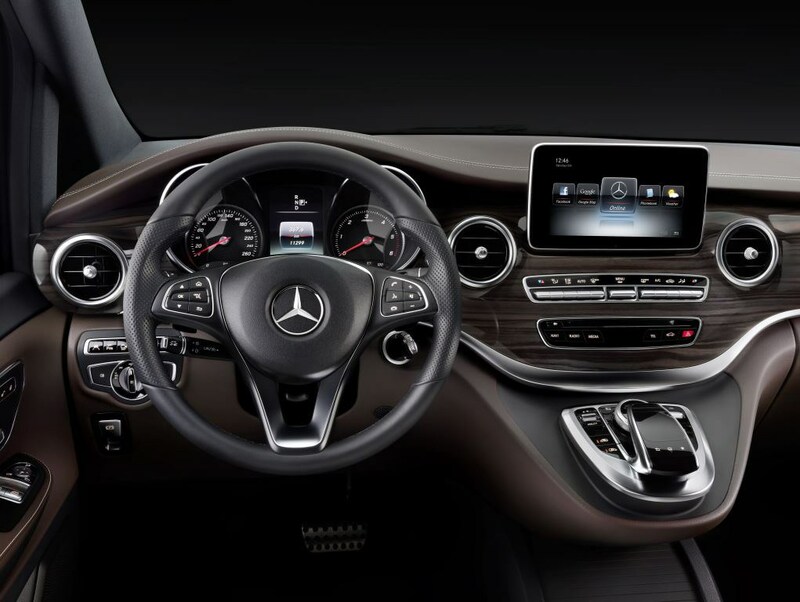 There’s a distinctive two-section dashboard design, coupled with high-quality seat materials, which again borrows heavily from the look of the C-Class’s cabin. 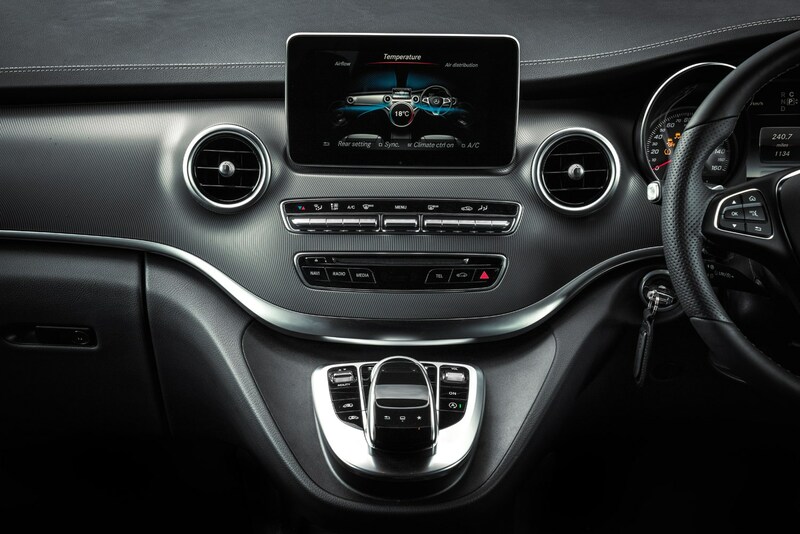 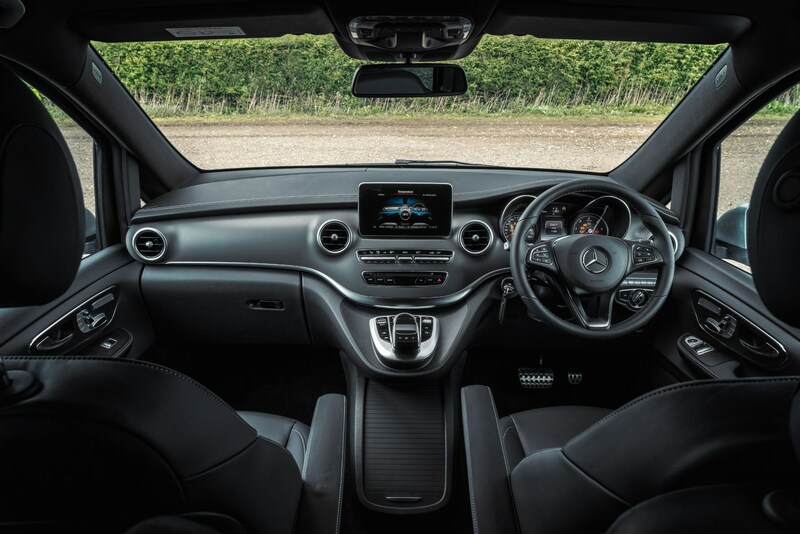 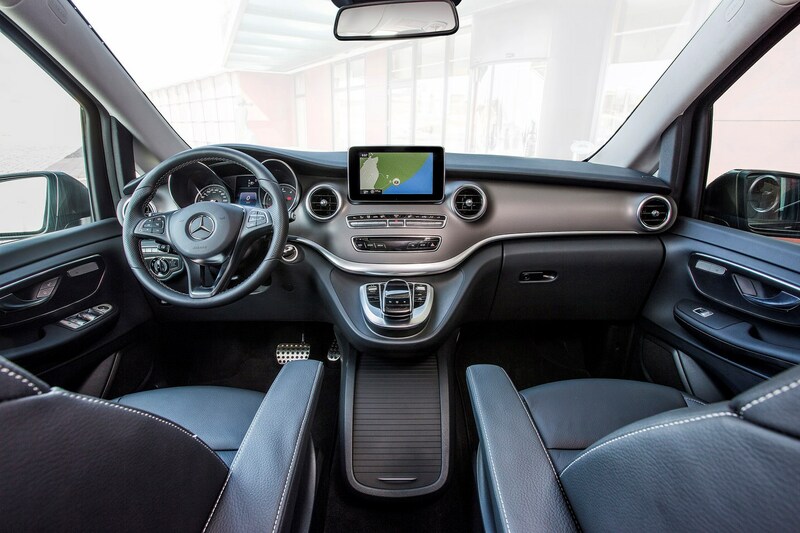 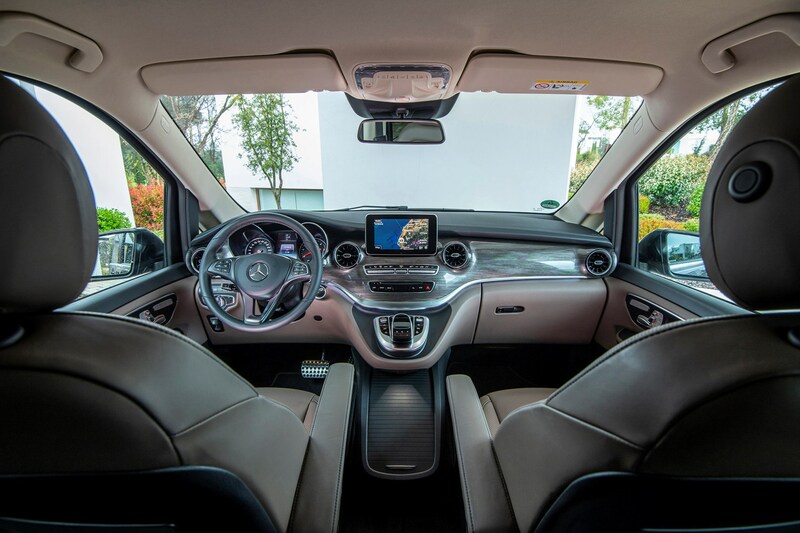 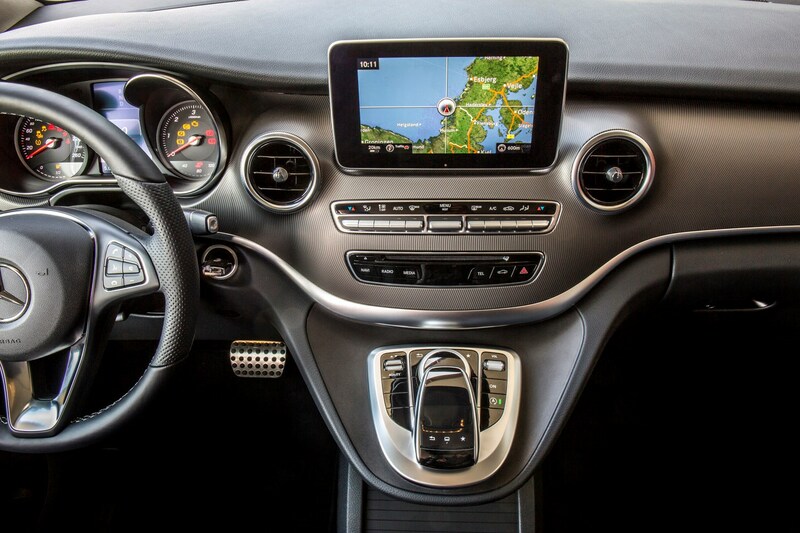 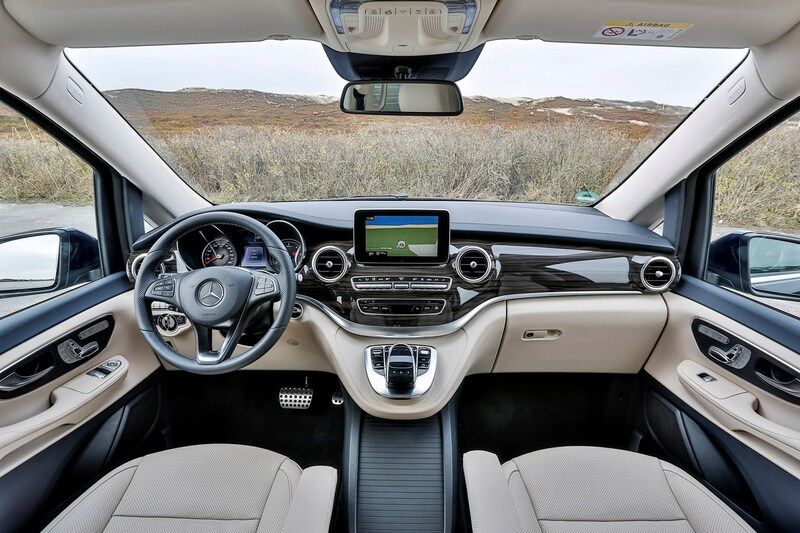 Its swooping lines are a world away from the Vito’s angular cliff of plastic but, compared with the newer slick dual-screen arrangement in the A-Class, E-Class and GLE, the V-Class’s dash looks old hat. Inevitably there’s another ‘but’ or two. 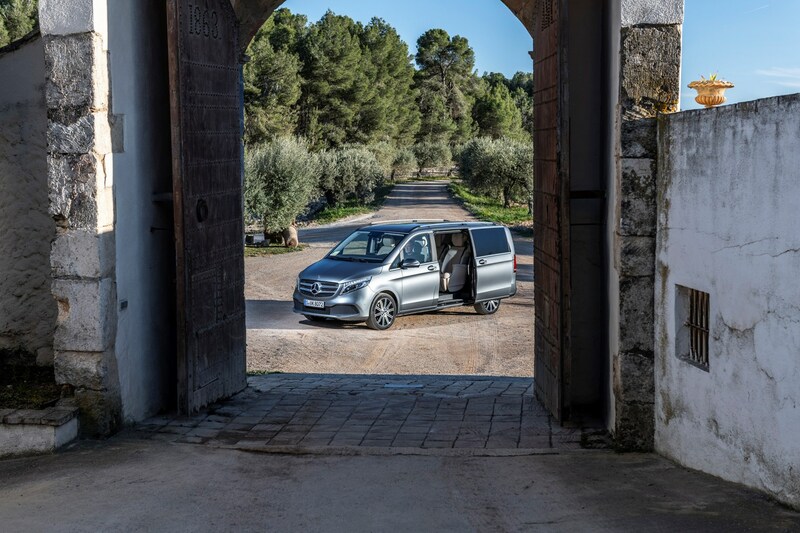 While its perpendicular flanks liberate masses of interior space, they ensure the outside remains very van-like – there’s no hiding its origins. 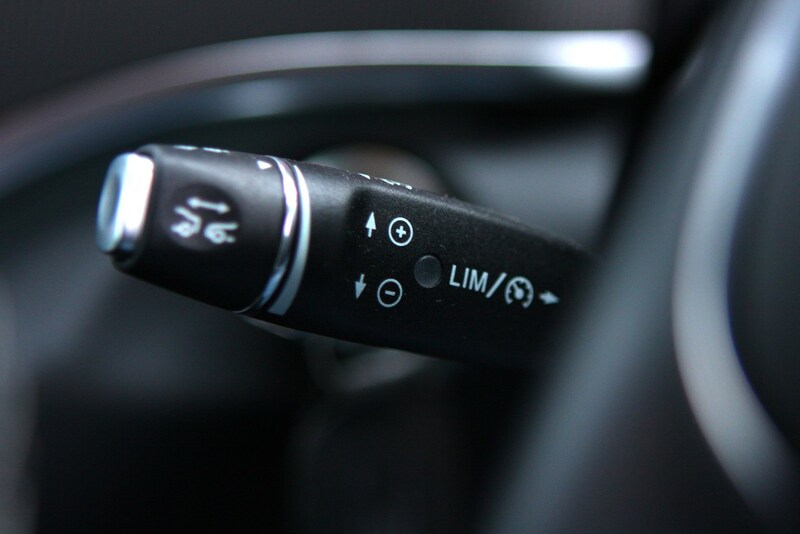 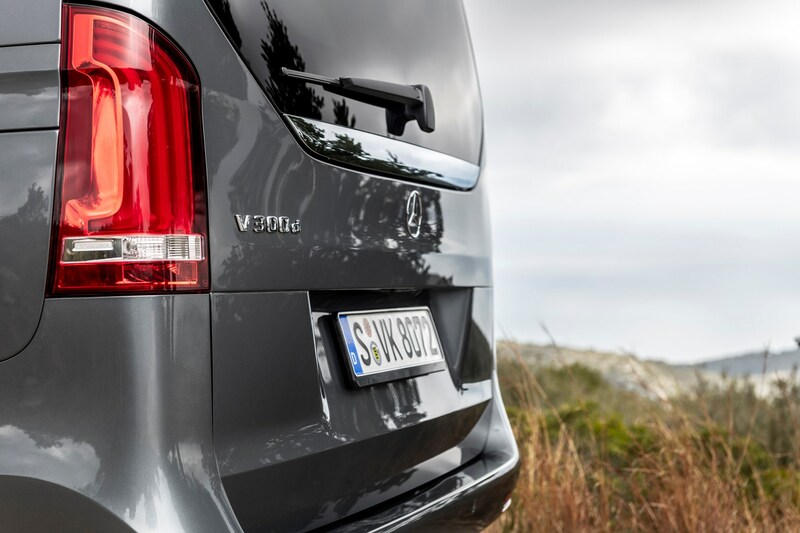 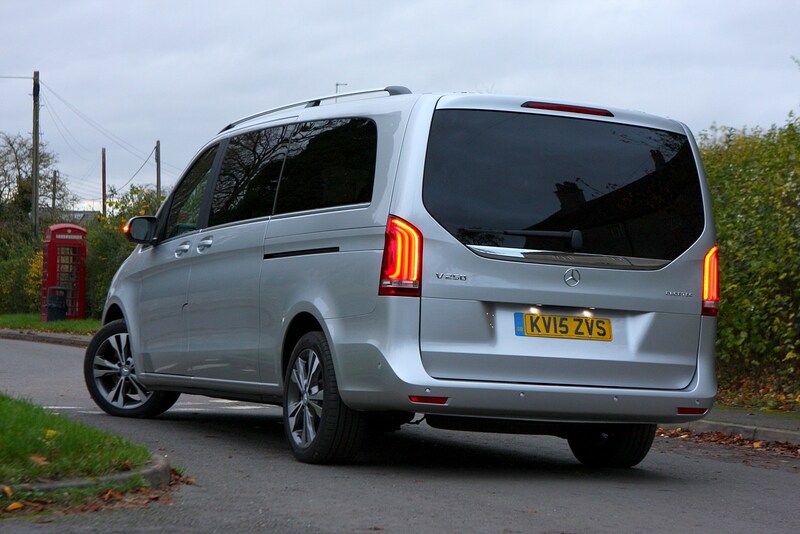 Similarly, the low-mounted fuel filler flap – secured by the front passenger door – is reminiscent not just of its Vito twin but almost every large commercial vehicle. 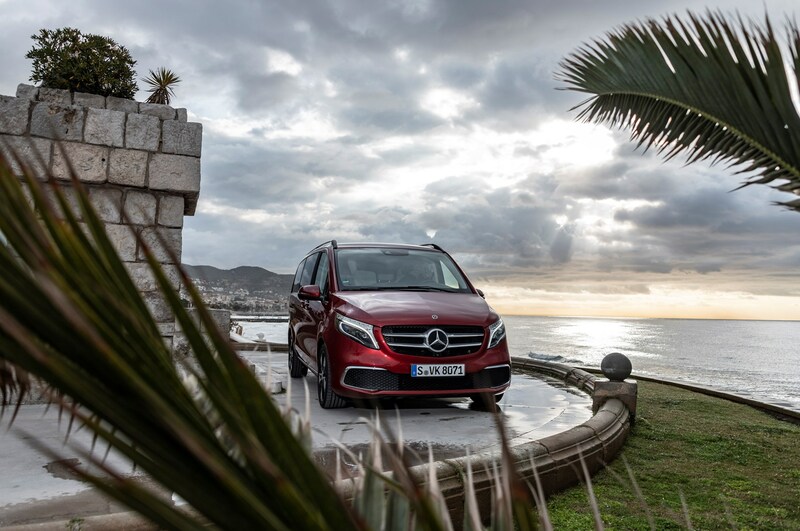 Choose a V-Class made between 2015 and early 2019 and power will come from Mercedes’ venerable 2.1-litre turbocharged diesel, offered in a choice of two outputs; the V 220 d has 163hp, the V 250 d 190hp. 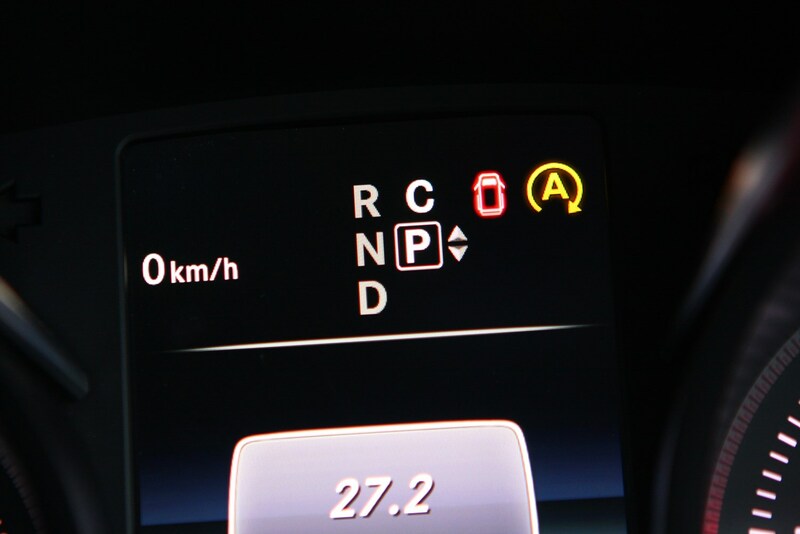 Both transmit their power to the rear wheels via a seven-speed automatic gearbox. 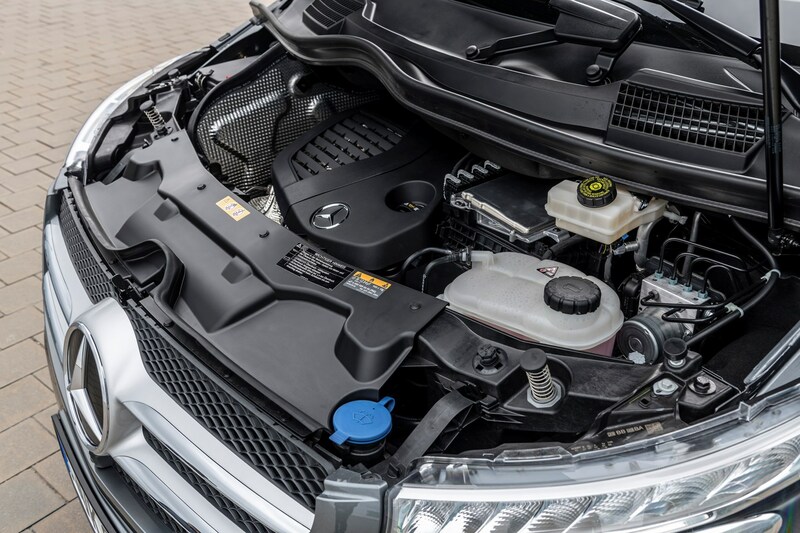 In spring 2019, along with a mild facelift, those older engines were ousted in favour of a more refined 2.0-litre alternative. 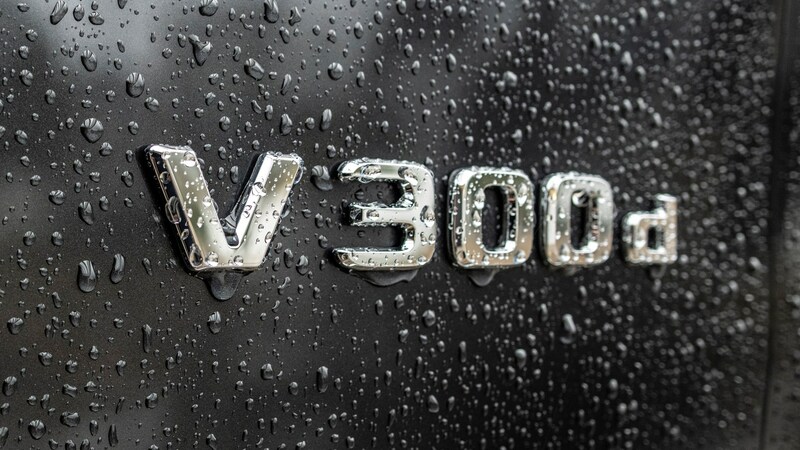 Again, the version badged V 220 d produced 163hp – but its more powerful sibling was badged V 300 d and served up 239hp. 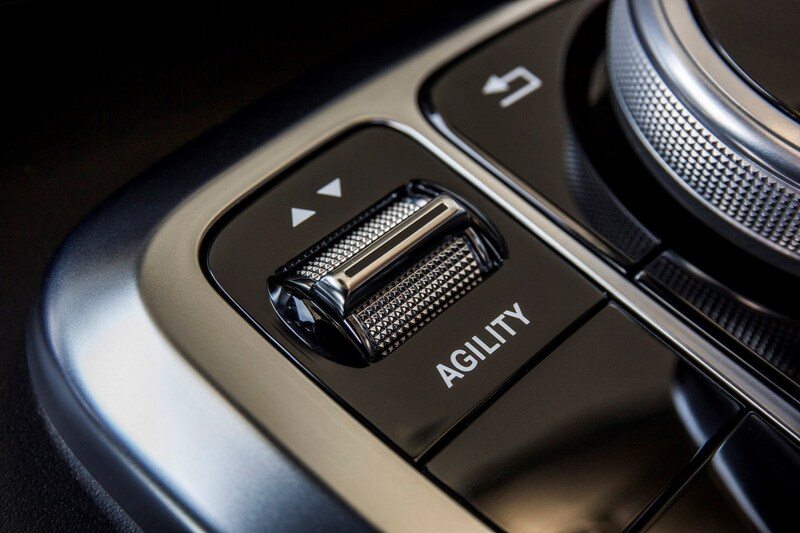 An automatic transmission remains standard but now offers nine speeds and still drives the rear wheels; 4Matic all-wheel drive remains unavailable in the UK. 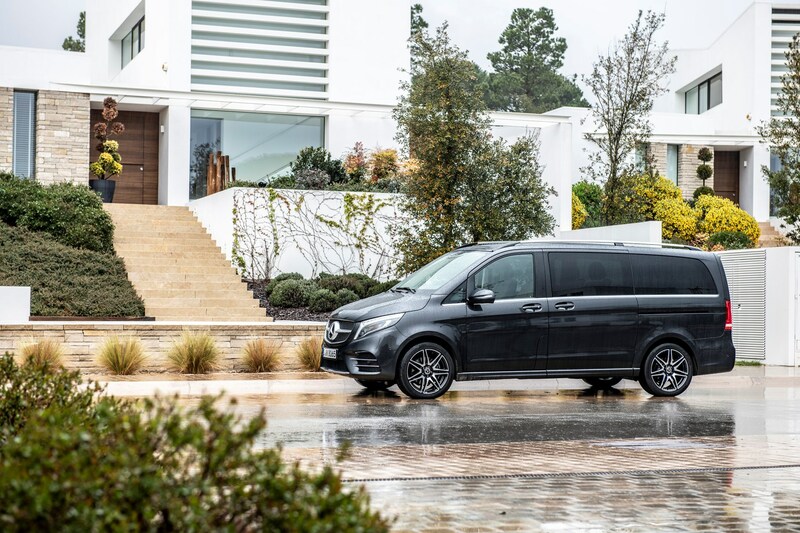 A standalone fully electric model, called EQV, is expected to go on sale during 2020 and should offer a range of approximately 250 miles. 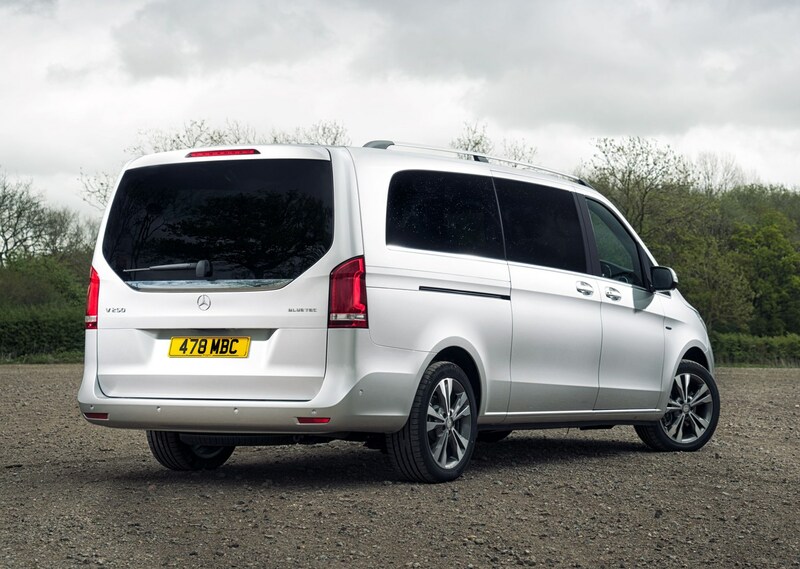 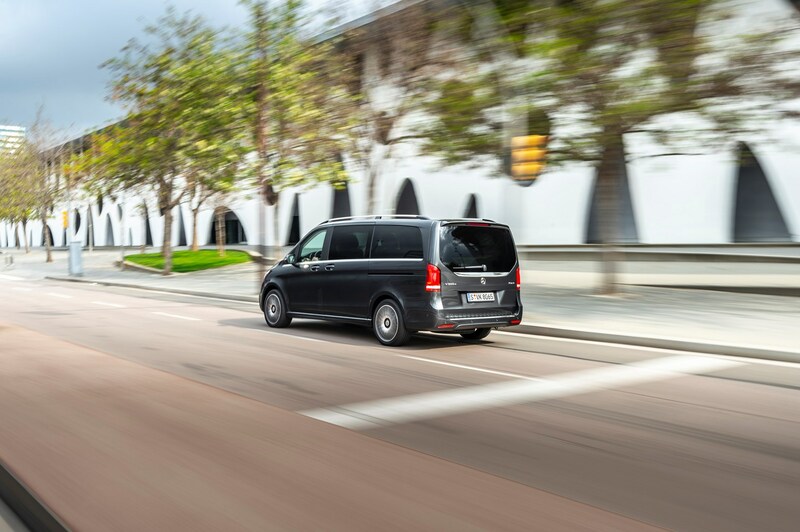 The V-Class features plenty of practical touches, including a separately opening rear window attached to the upper tailgate frame. 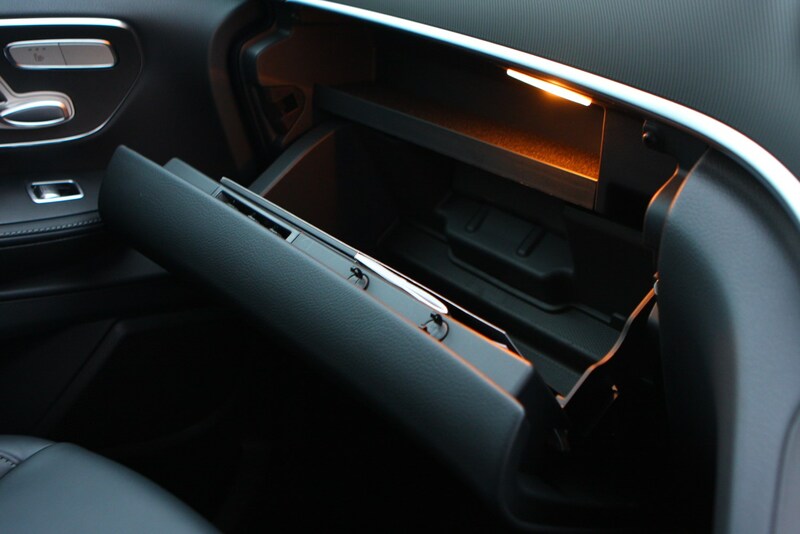 When coupled with the adaptable parcel shelf, this means items can be loaded into the vehicle without having to open the rather large rear door – which is handy in car parks where space is limited. 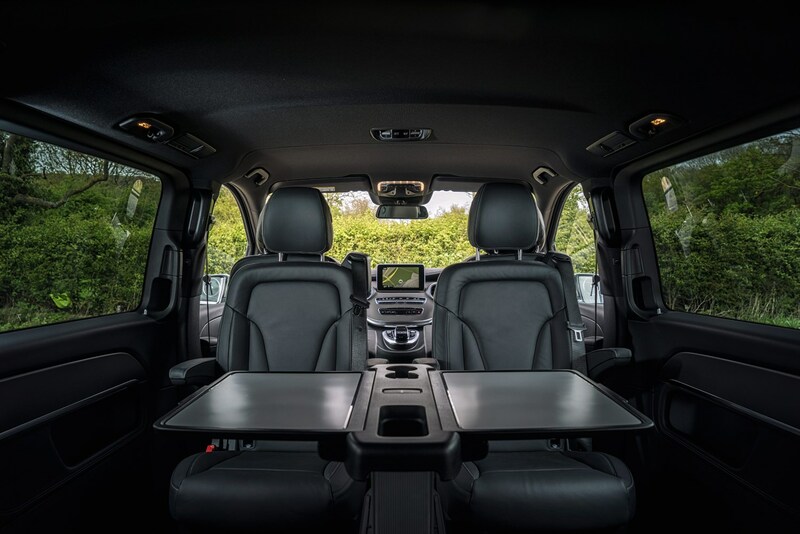 The size of the electrically operated tailgate itself makes it ideal as a rain shelter, should a sudden downpour catch you out – and providing you’ve got the room to open it. 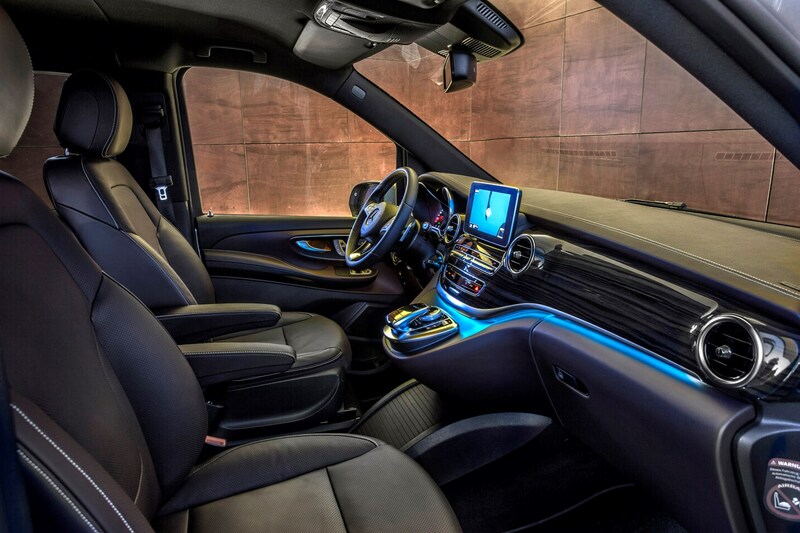 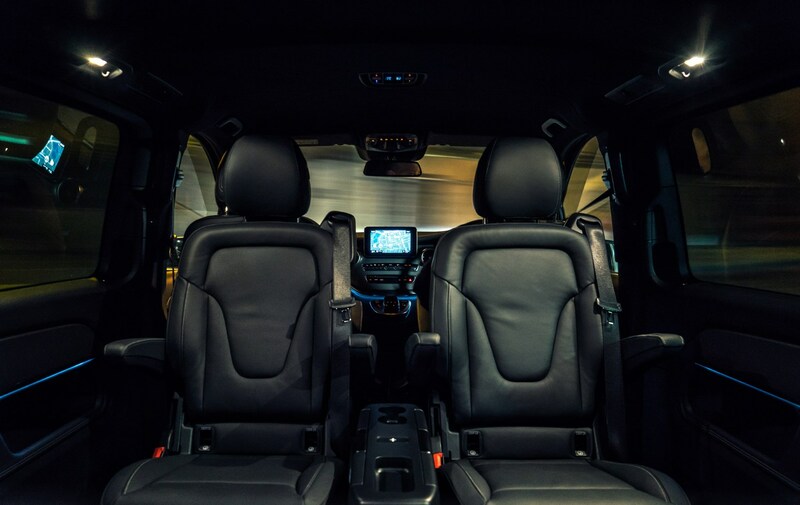 Interior space in the V-Class is impressive. 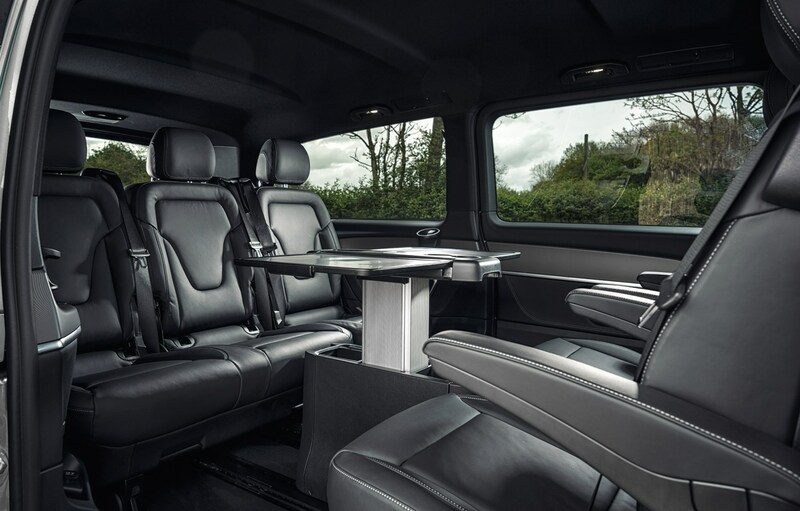 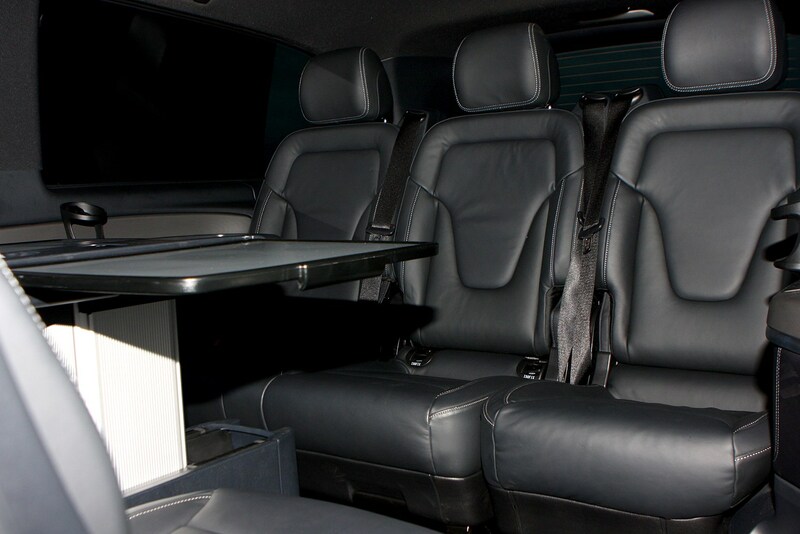 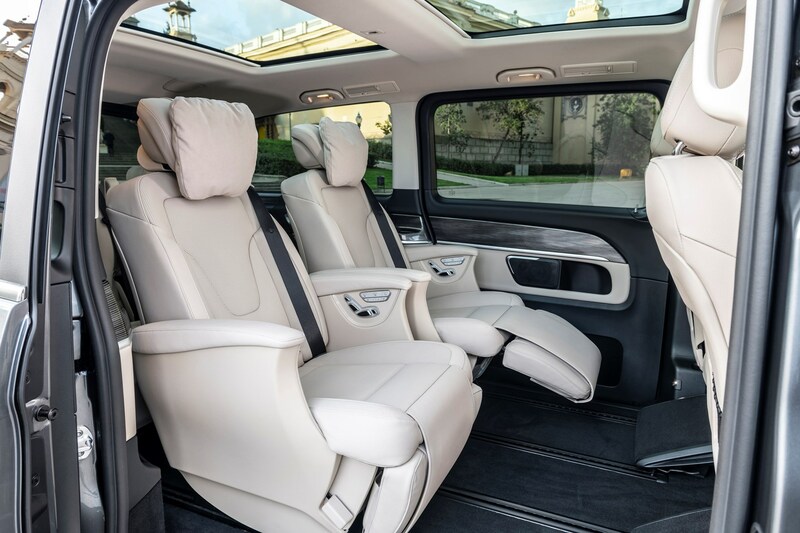 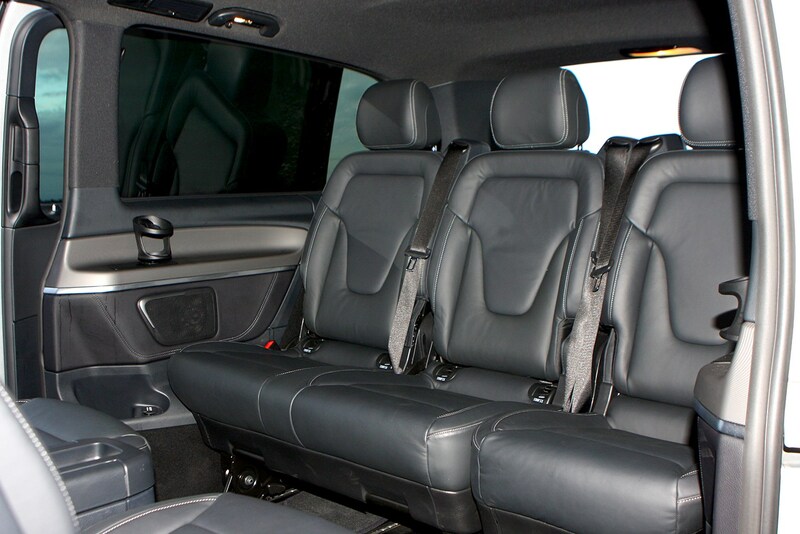 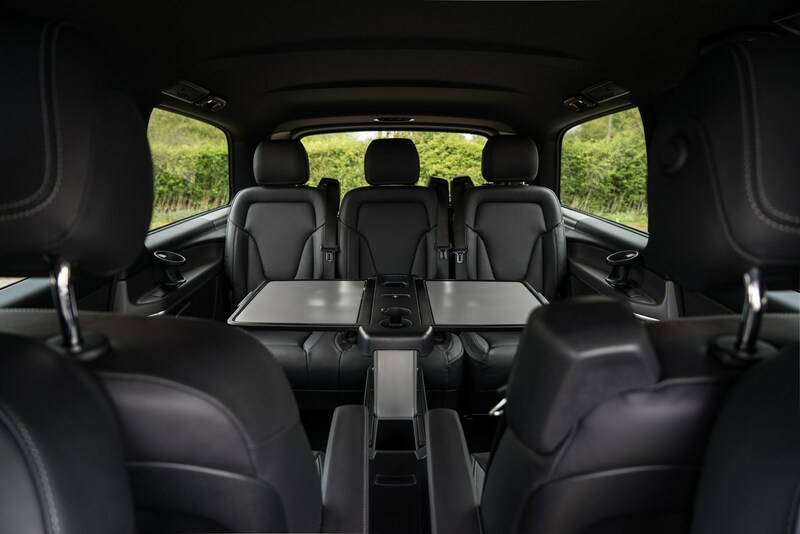 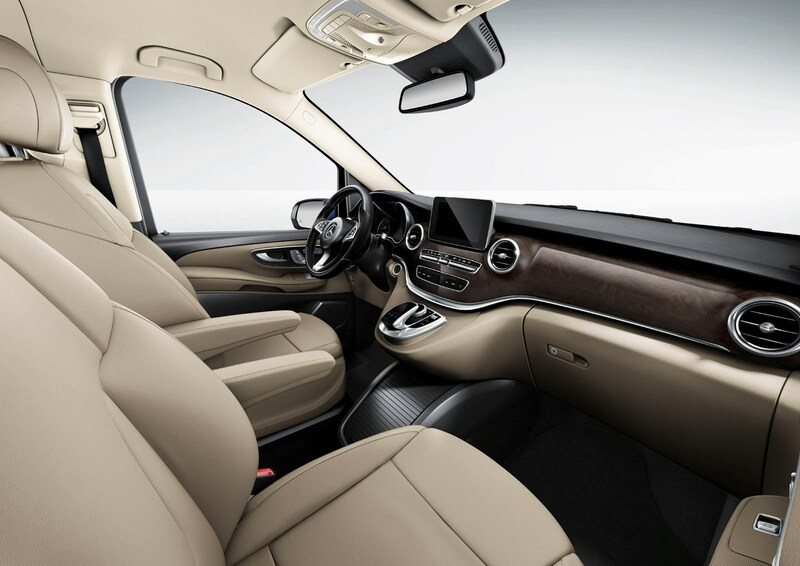 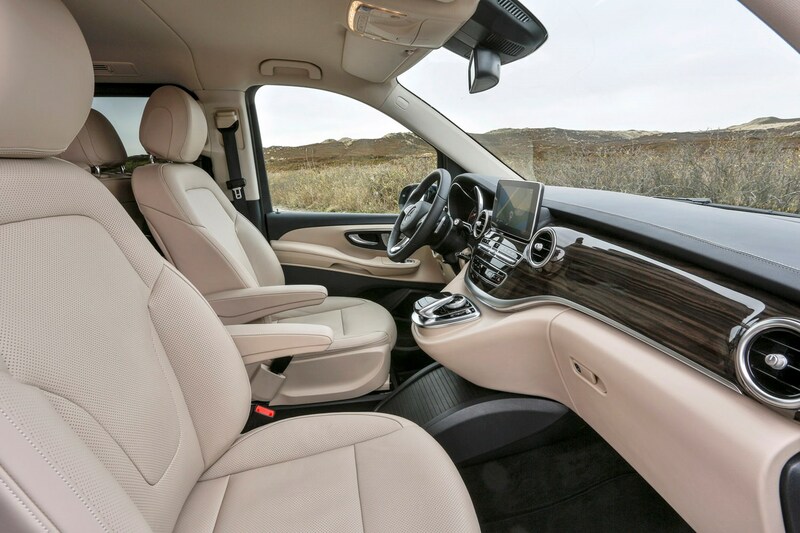 The Mercedes is available in three lengths – Standard, Long and Extra Long – with a choice of seven- or eight-seater configurations, depending on whether you specify a three-seater bench for the middle row. 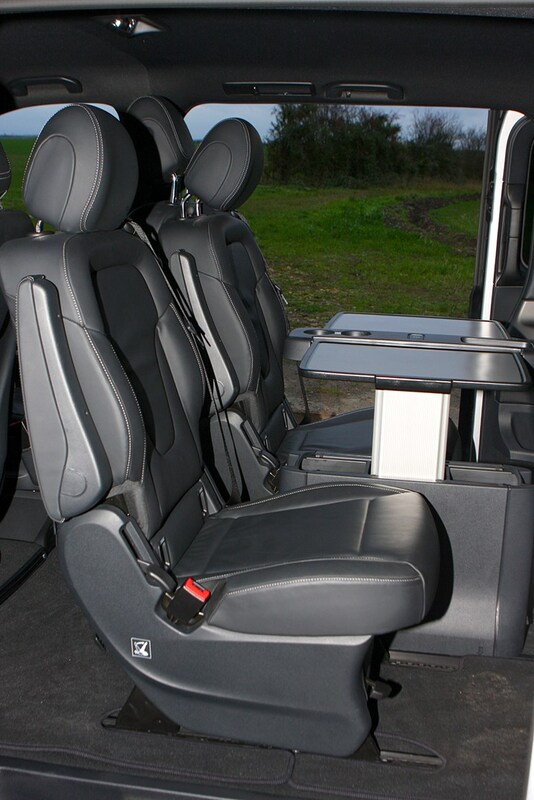 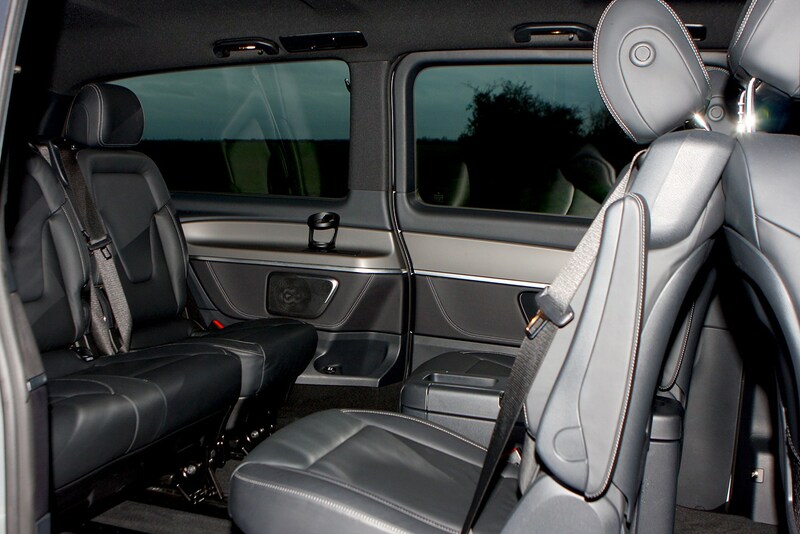 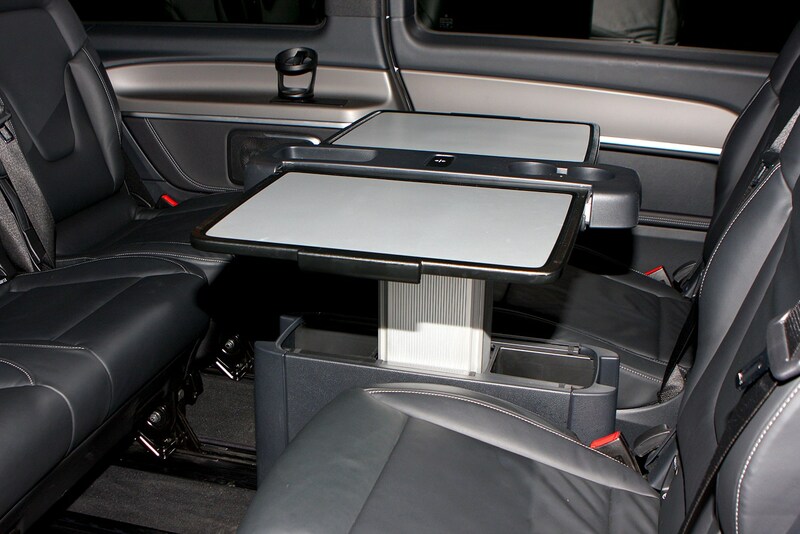 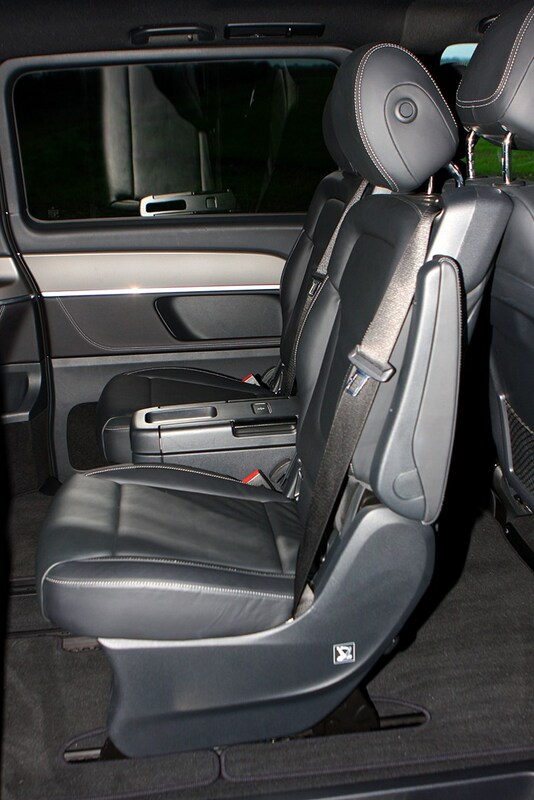 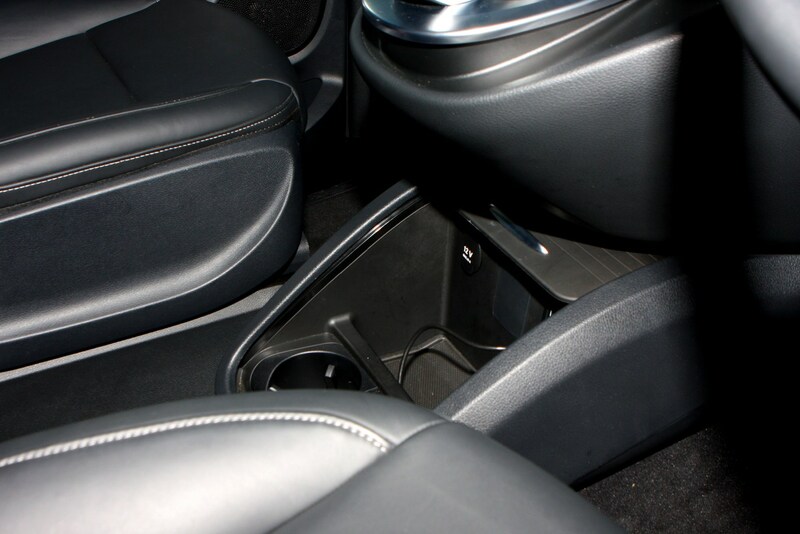 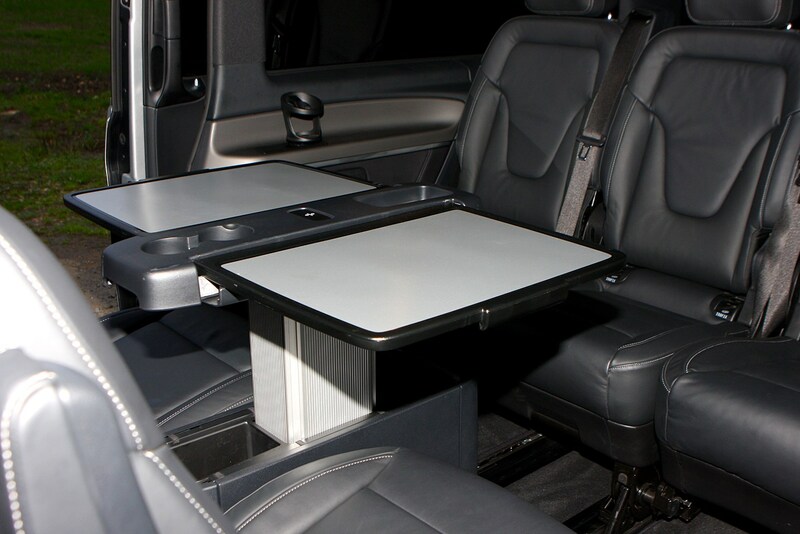 The driver and front passenger get four-way lumbar support, as well as seat heating, while fully electrical adjustment of the seats is available as an option. 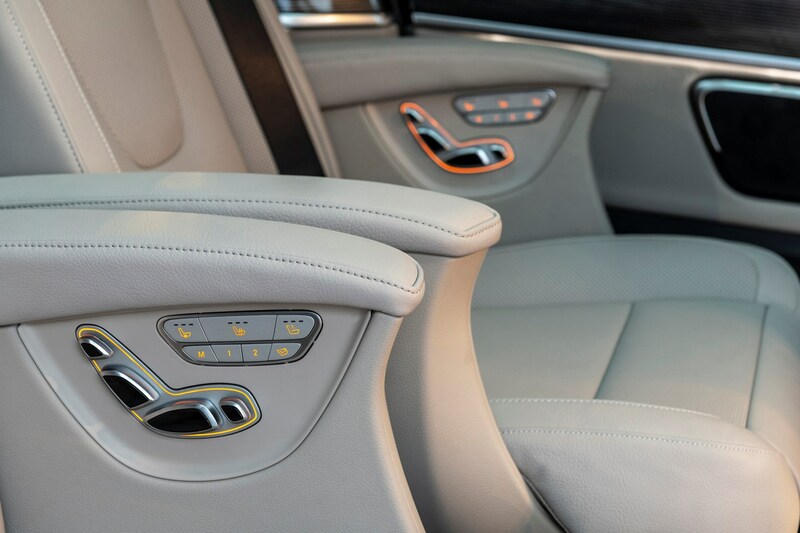 A pair of luxurious middle row seats, complete with fully electric reclining, heating and cooling functions will also be made available later in 2019. 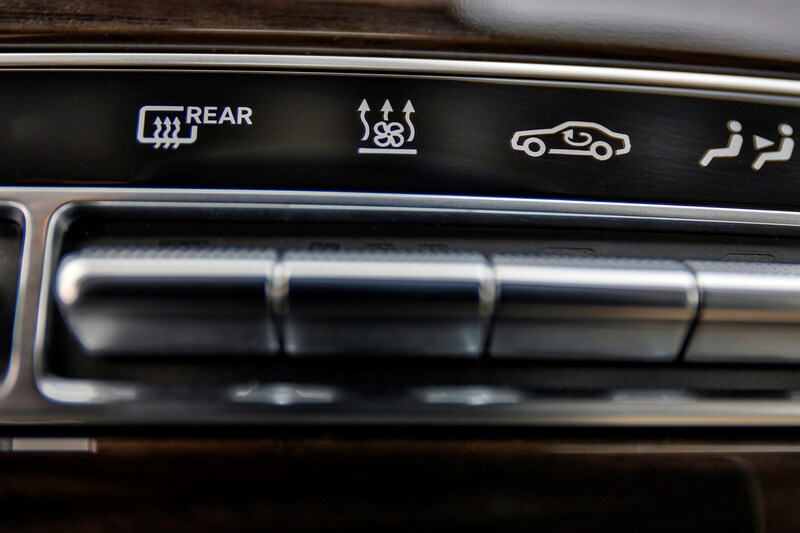 It’s not clear, at this stage, whether these will be optional extras or part of a standalone Exclusive trim level. 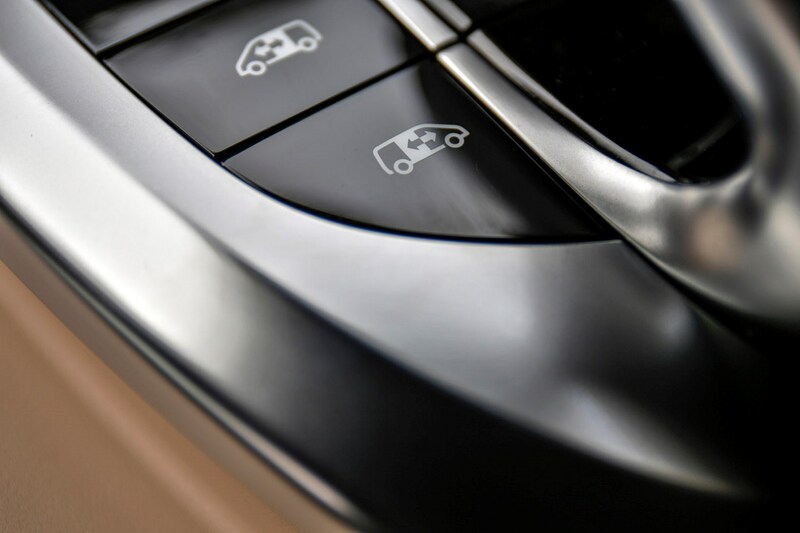 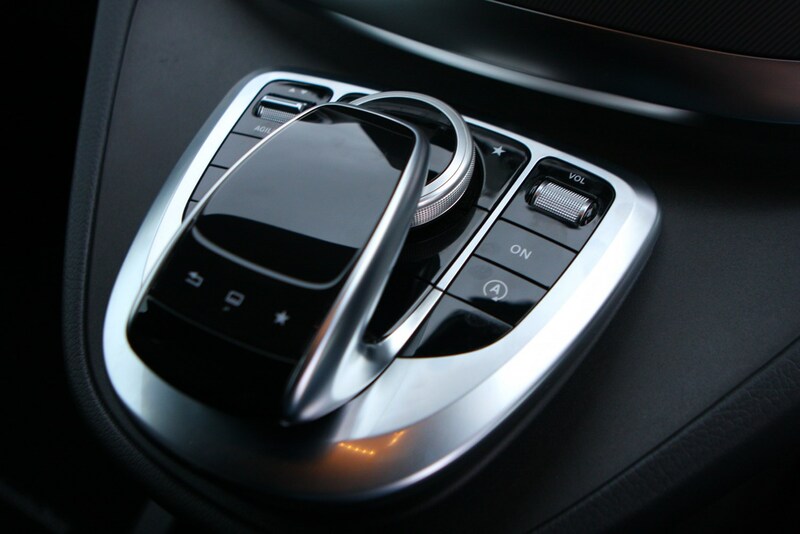 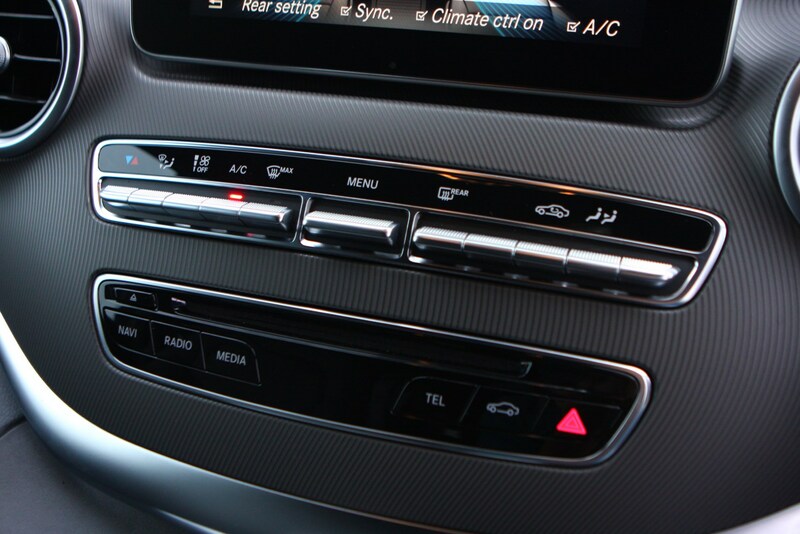 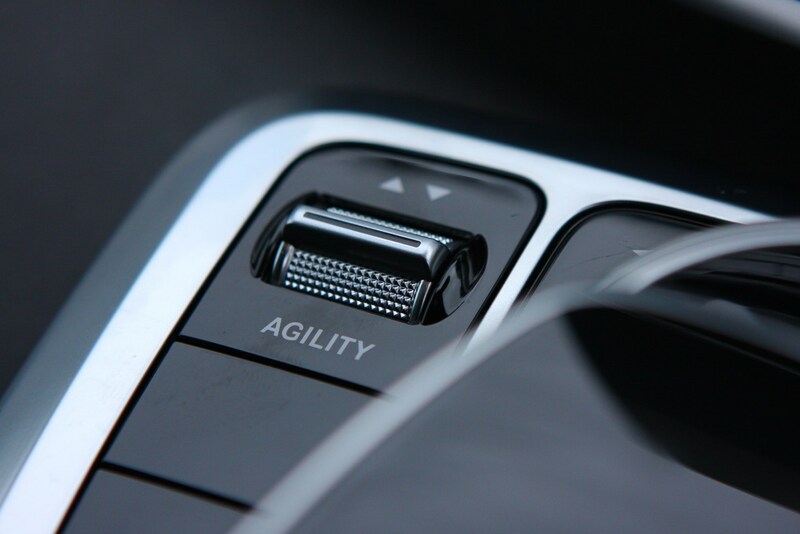 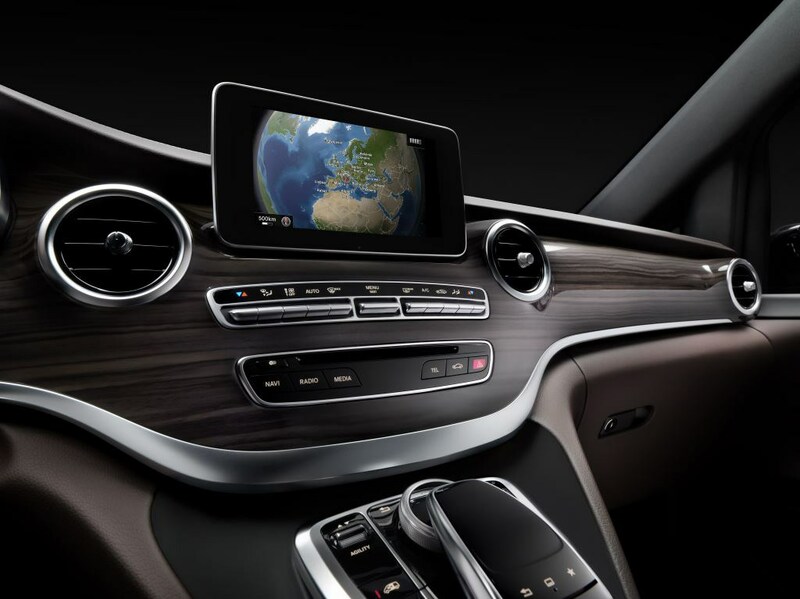 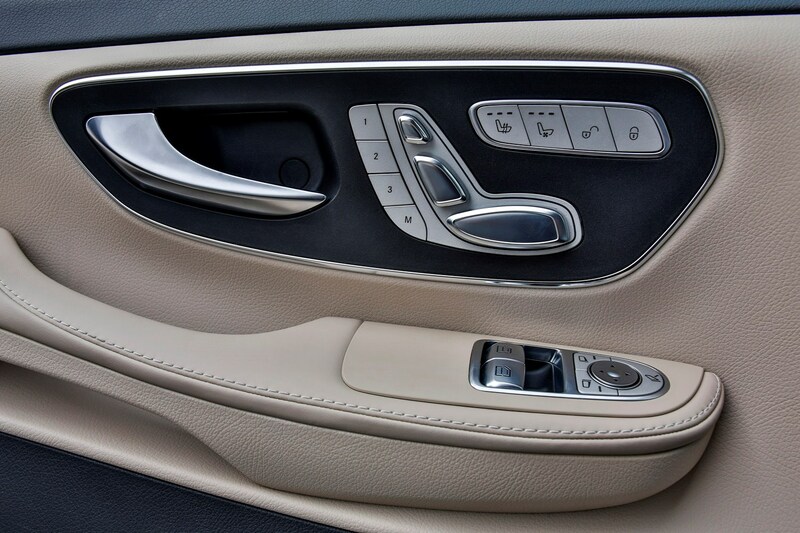 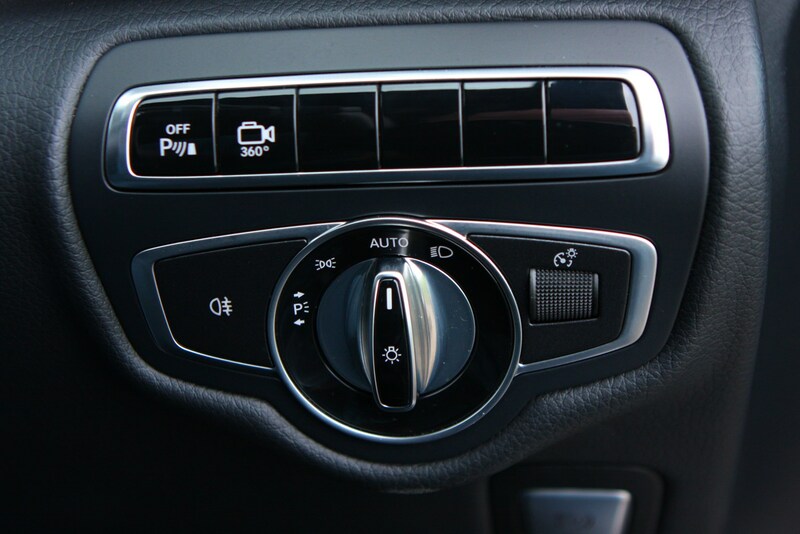 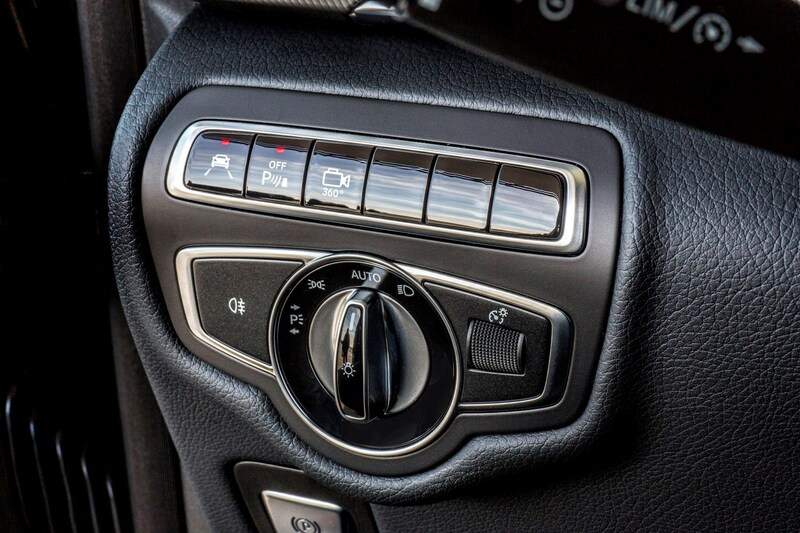 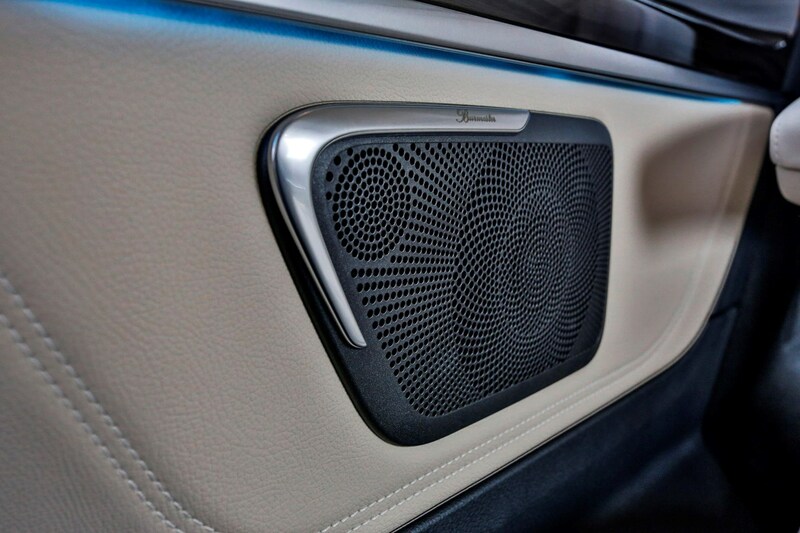 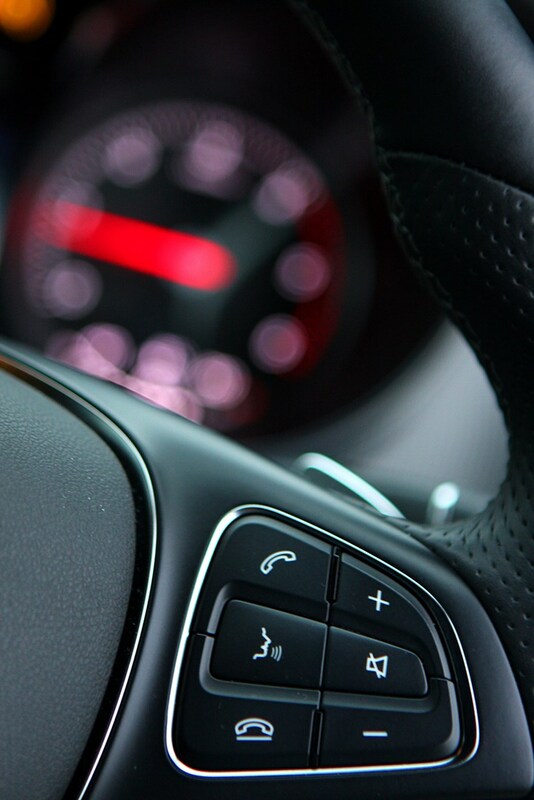 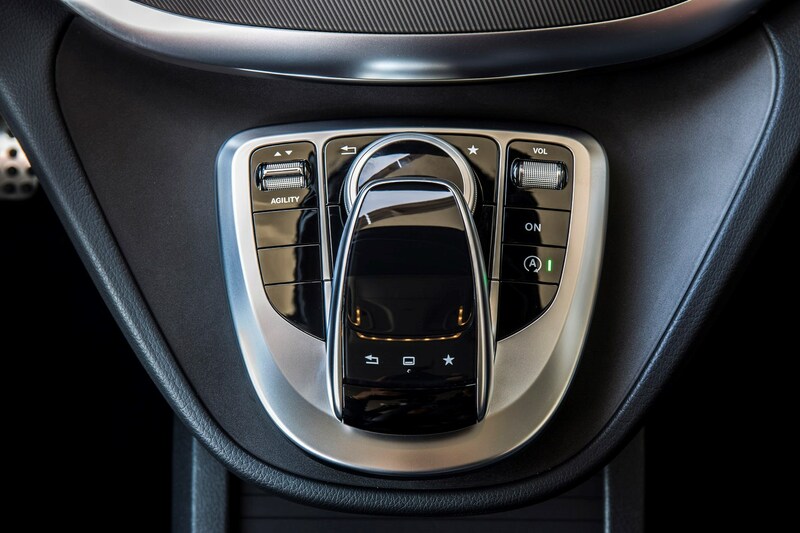 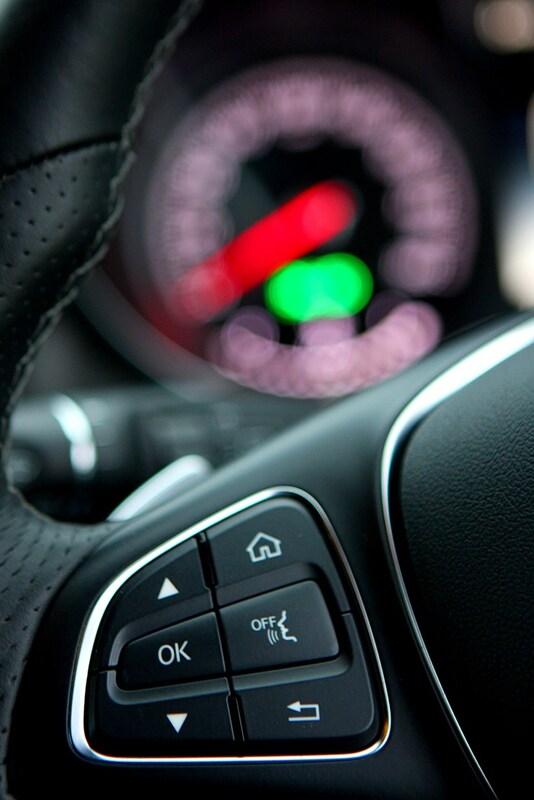 Technology is a Mercedes hallmark that’s prevalent in the V-Class, and one made apparent by features such as the combined touchpad and rotary dial multimedia controller. 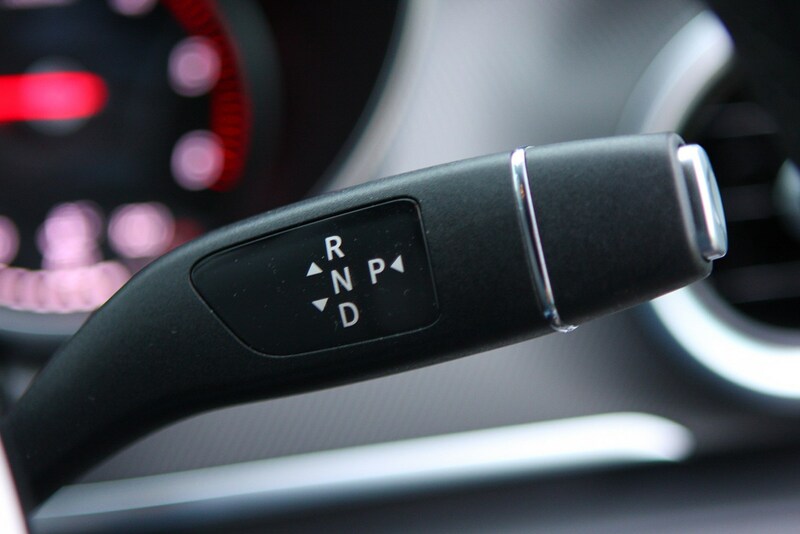 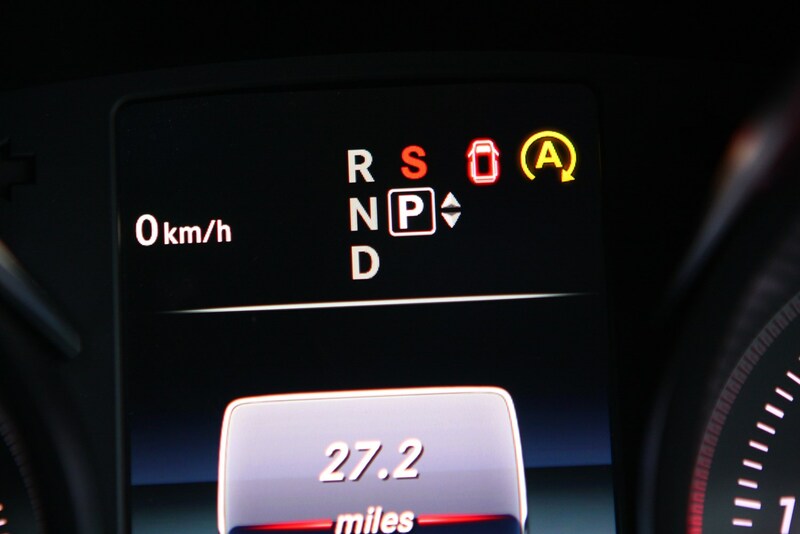 This clever bit of kit enables the driver to scroll through the various menus displayed on the screen with their fingertips – similar to how you operate a smartphone. 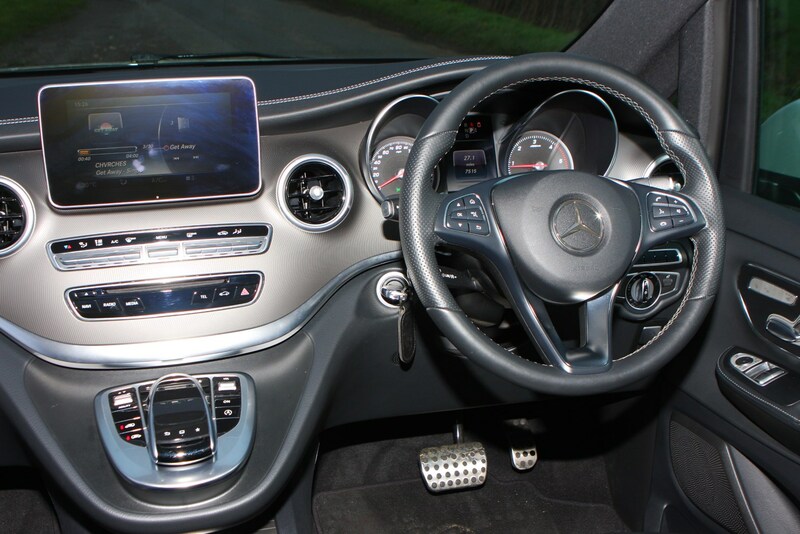 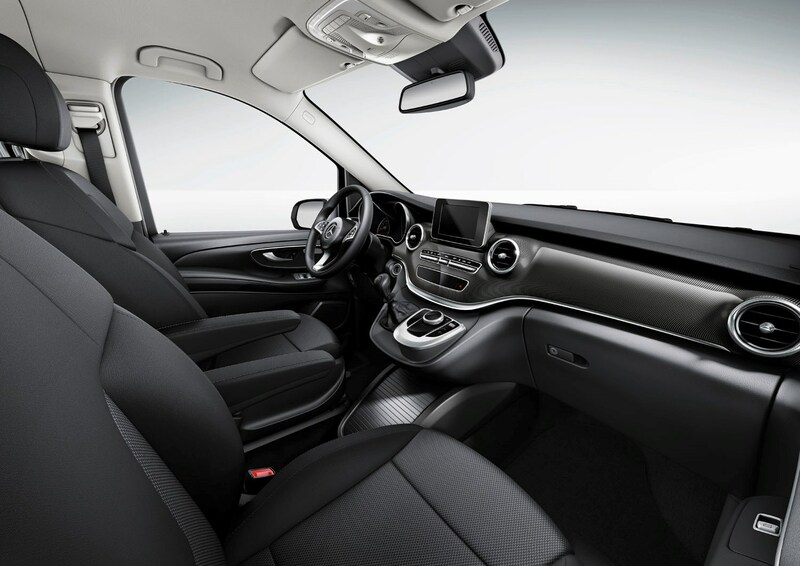 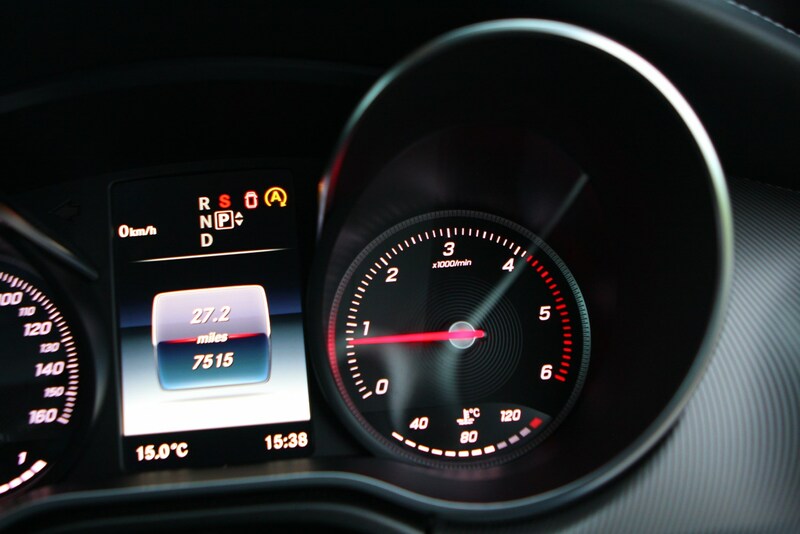 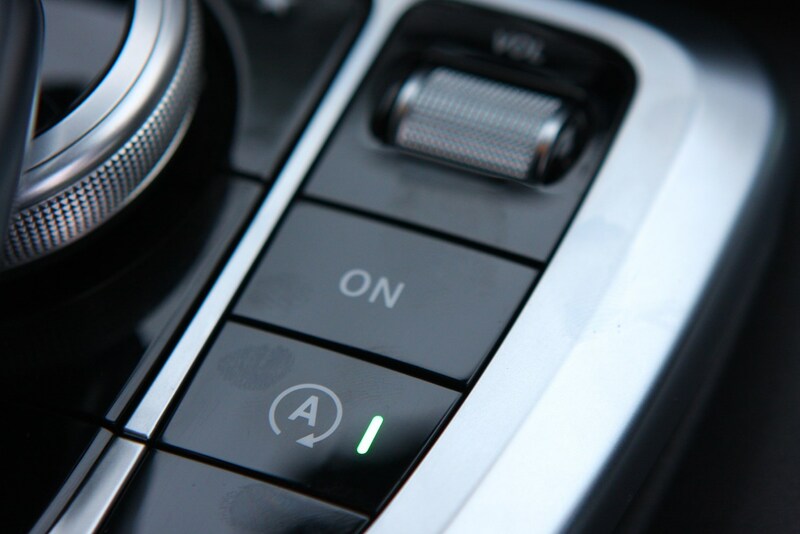 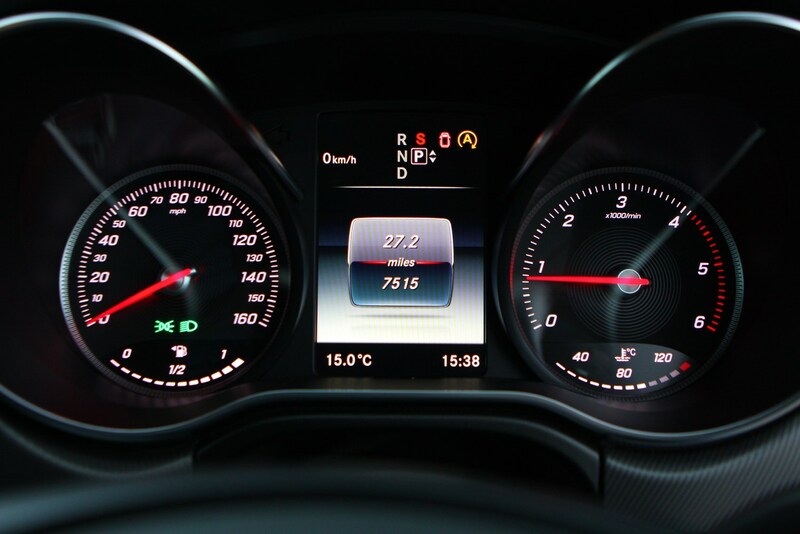 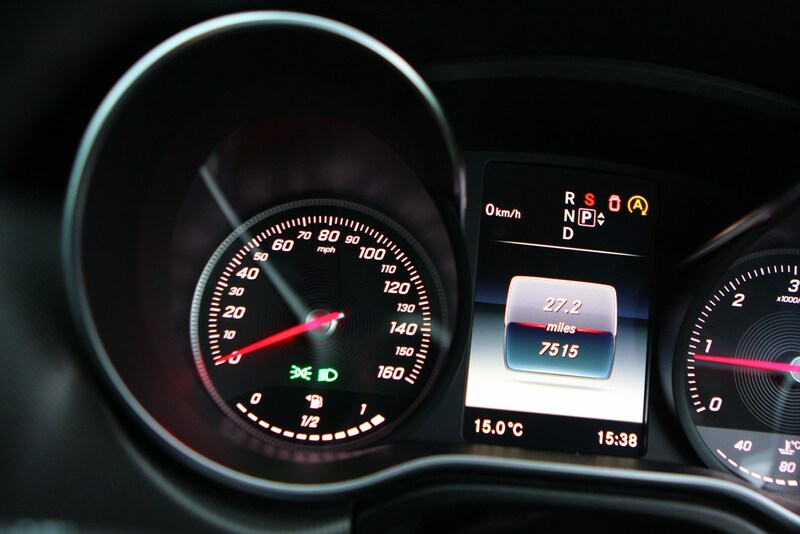 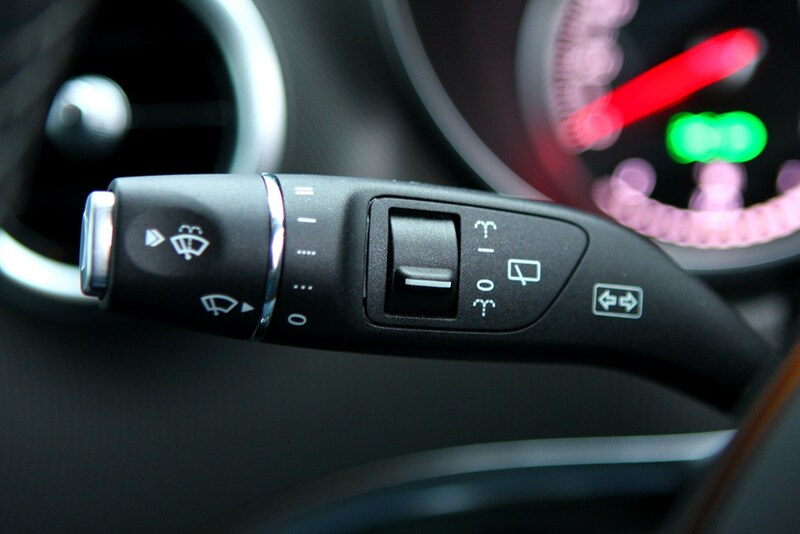 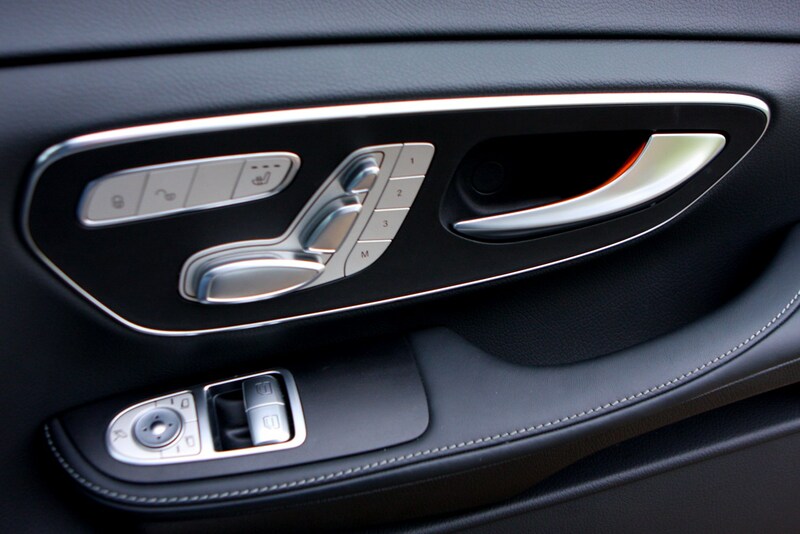 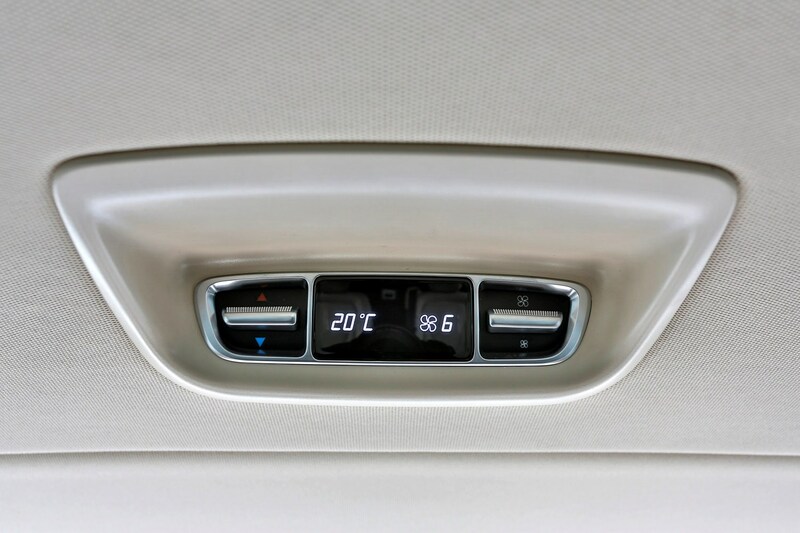 The revamped V-Class, however, hasn’t received the upgraded touchpad seen in the A-Class. 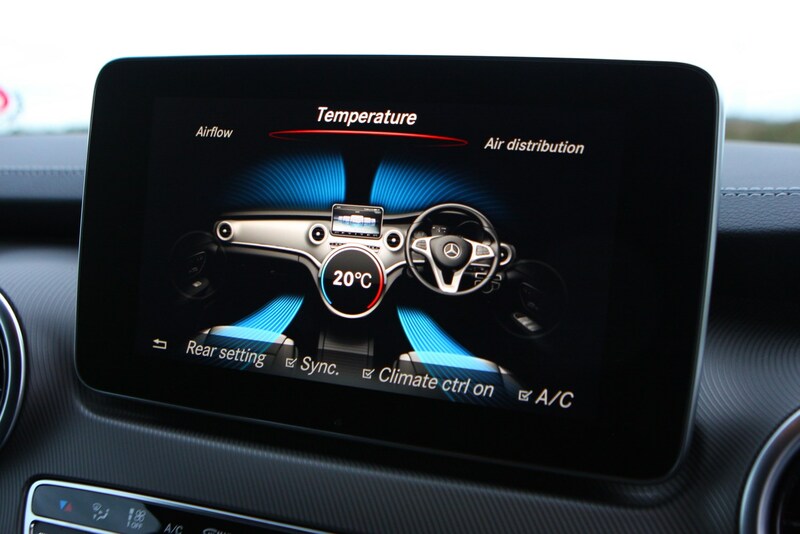 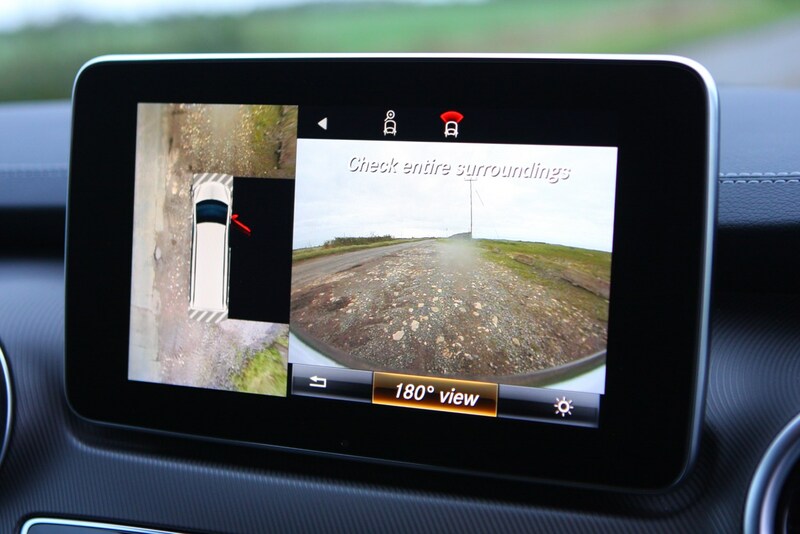 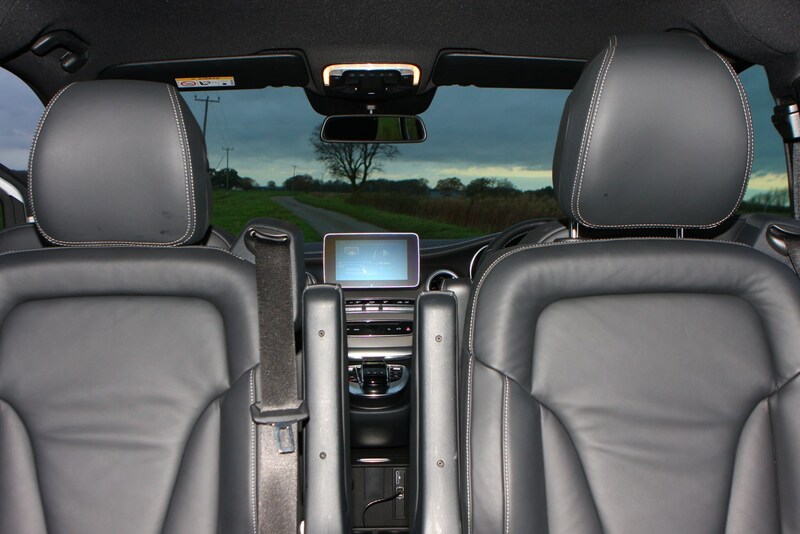 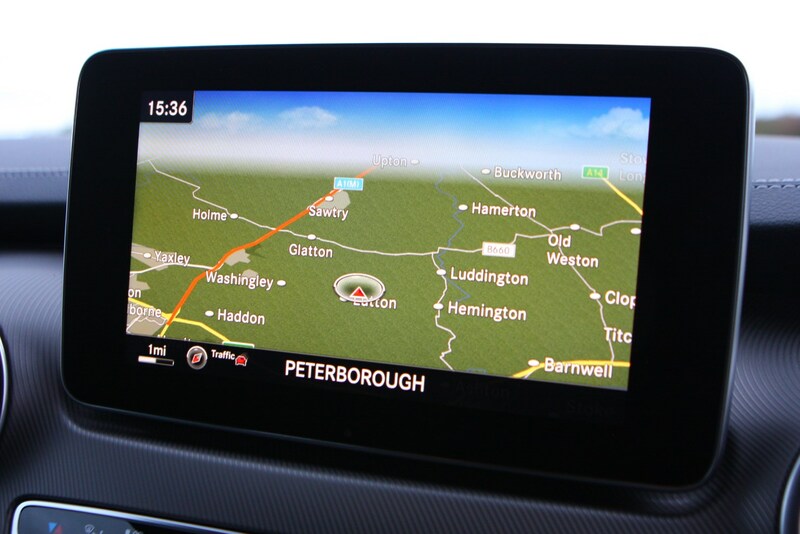 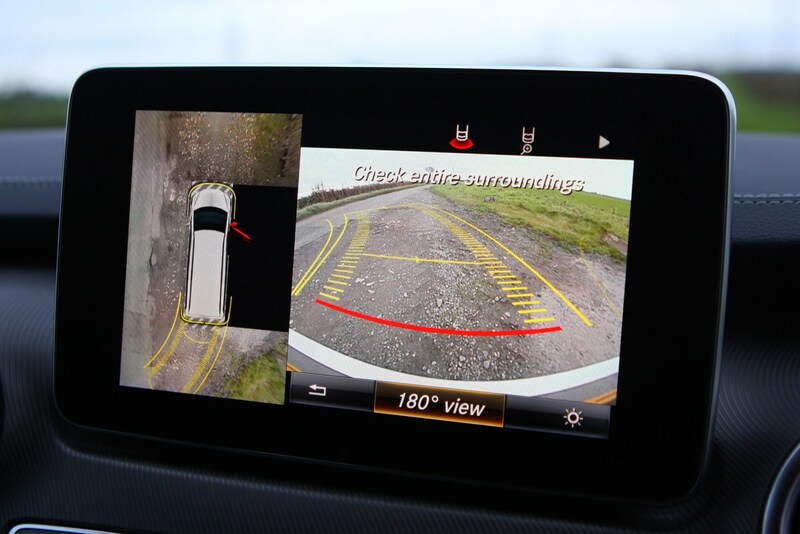 There’s a choice of infotainment systems that offer sat-nav, Bluetooth and even a Wi-Fi hotspot, although it uses your smartphone for tethering rather than having its own 4G connection. 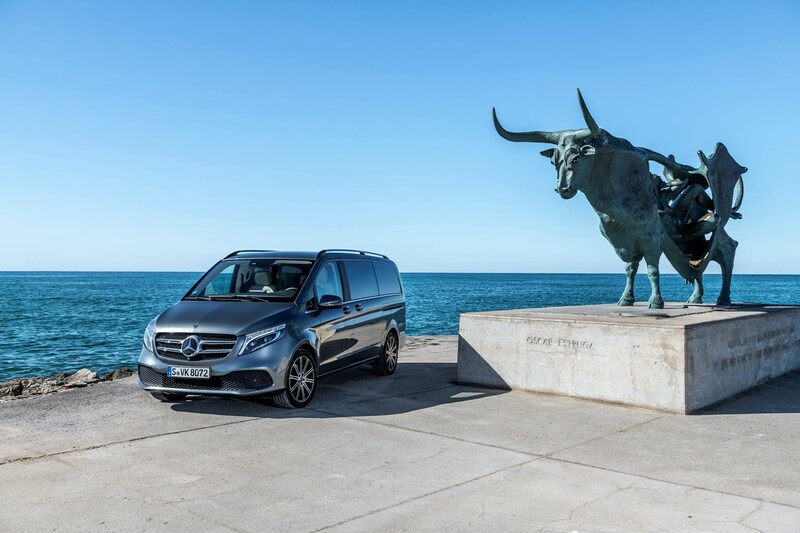 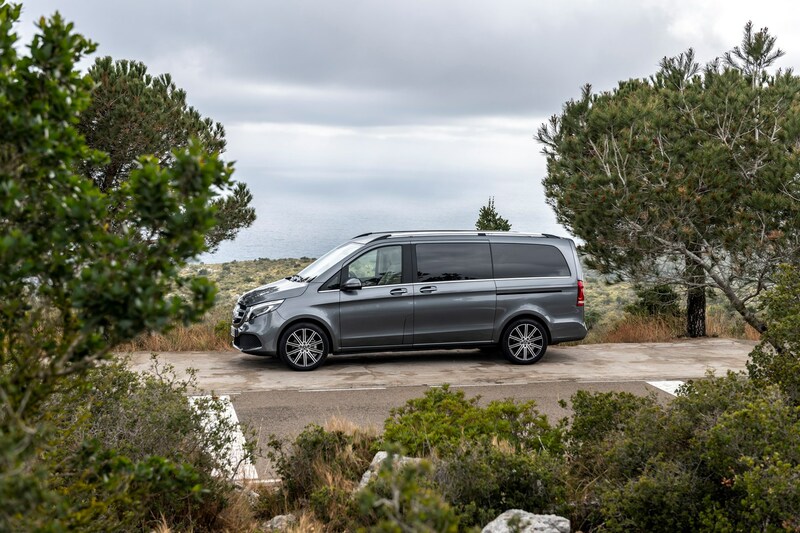 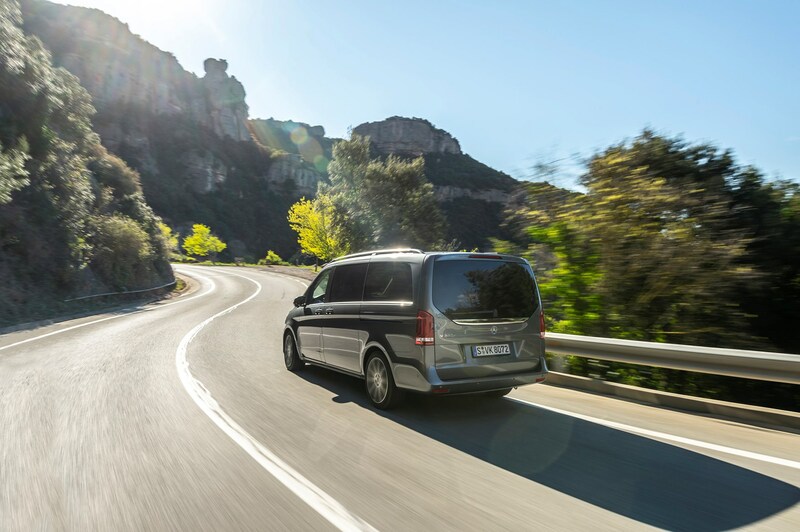 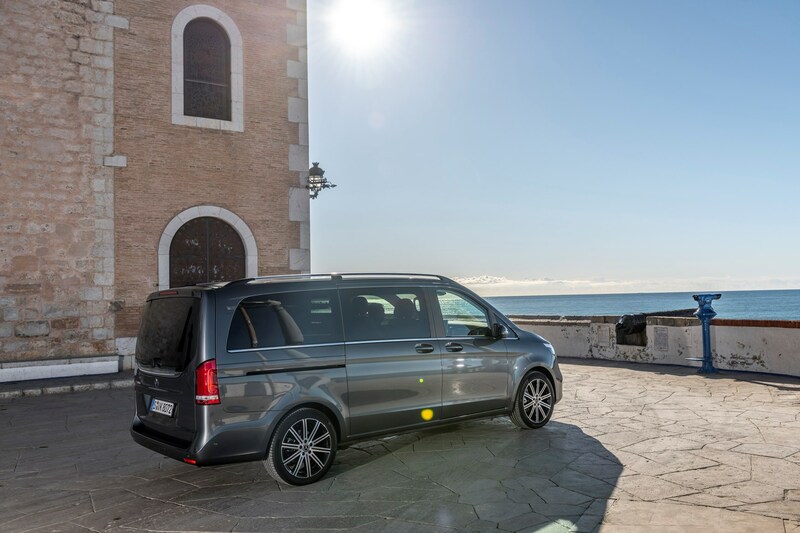 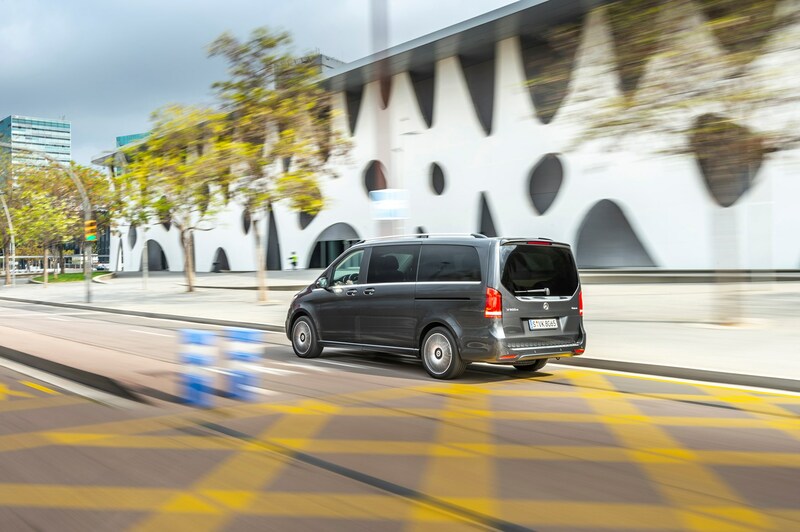 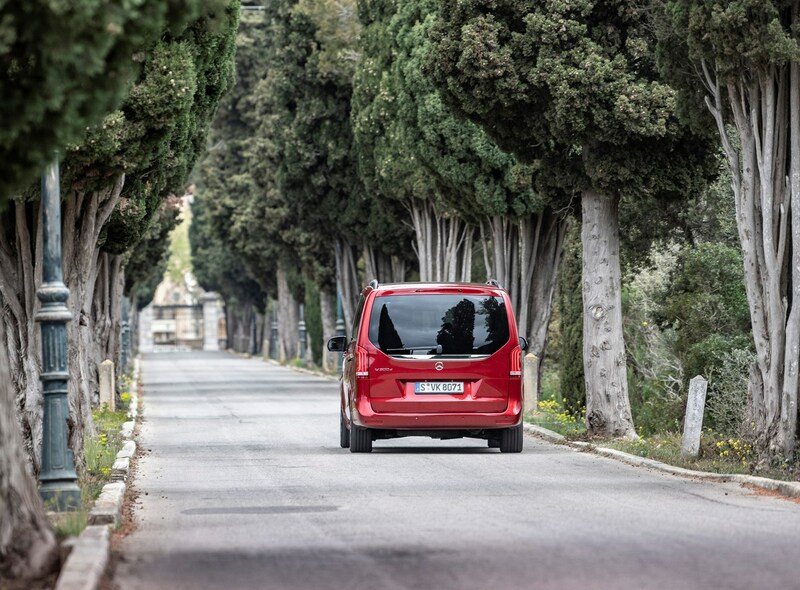 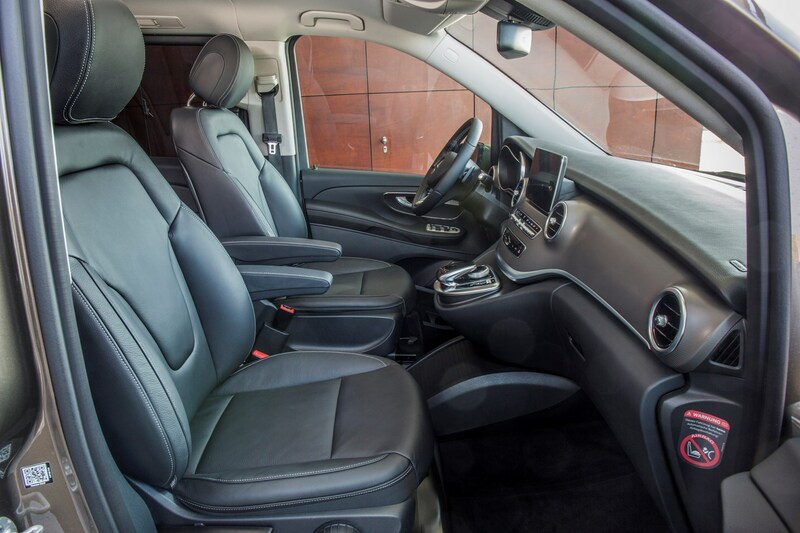 The V-Class is well equipped, too, with even the entry-level Sport versions including a 7.0-inch multimedia screen with sat-nav, a full leather interior, LED headlamps, two electrically operated sliding doors and ambient lighting with three colour settings. 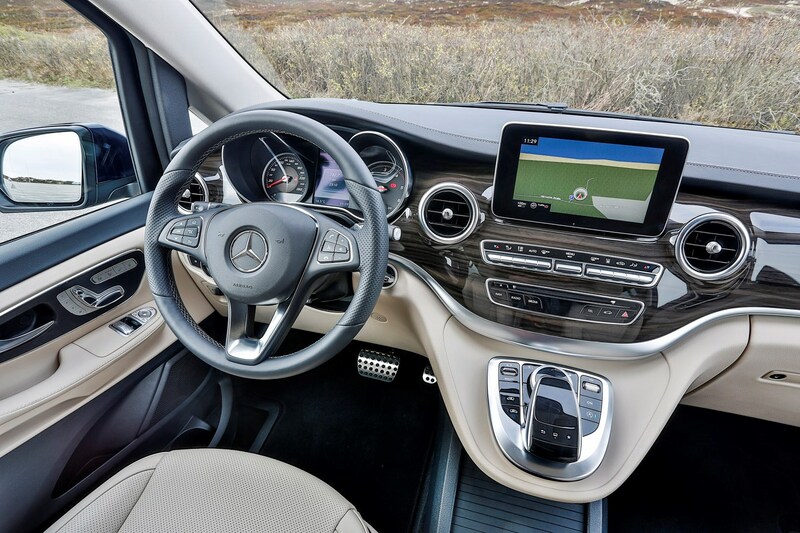 It is also available with a plethora of safety features, including Blind Spot Assist to warn you of approaching traffic from the rear, Lane Keeping Assist that vibrates the steering wheel when you veer over the white lines and Distronic adaptive cruise control. 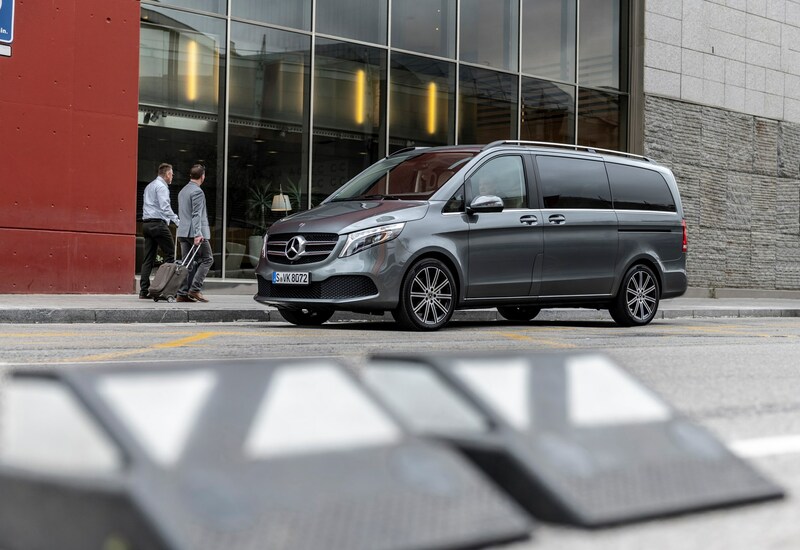 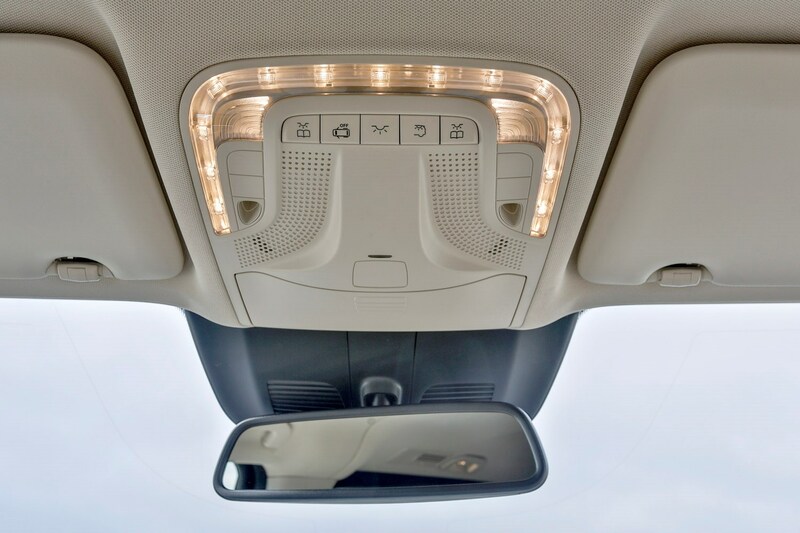 Mercedes’ excellent High Beam Assist Plus, where a section of the full beam is dipped to prevent other road users from being dazzled, became part of the package from 2019. 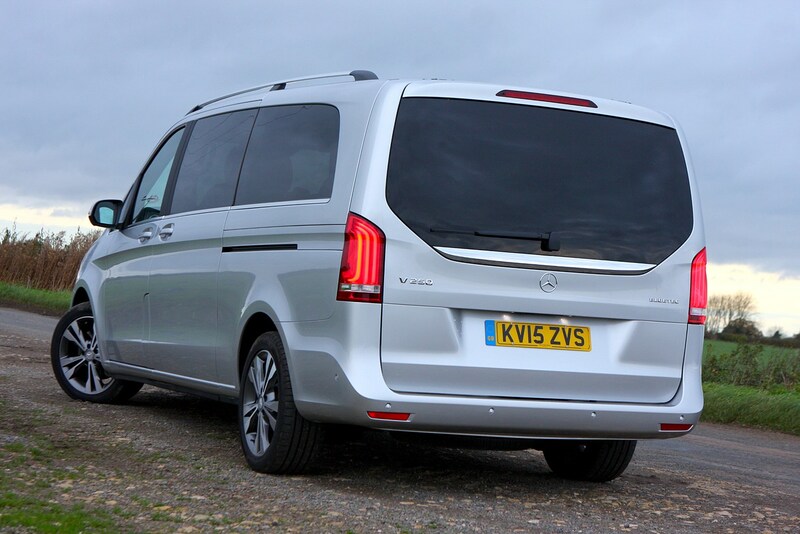 An optional 360-degree camera makes manoeuvring this large car much easier and should be chief among the extras you plump for. 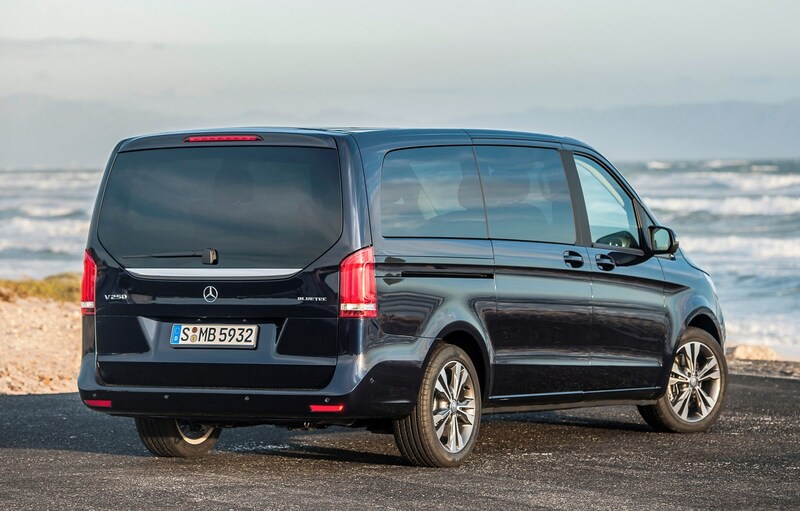 Should you buy a Mercedes-Benz V-Class? 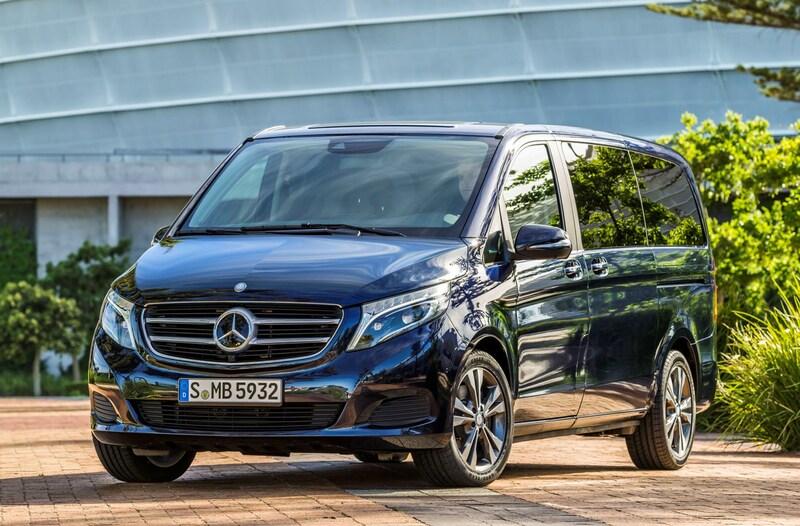 If carrying people and their luggage is a priority, then nothing else on the market manages it in such a plush fashion as the Mercedes-Benz V-Class. 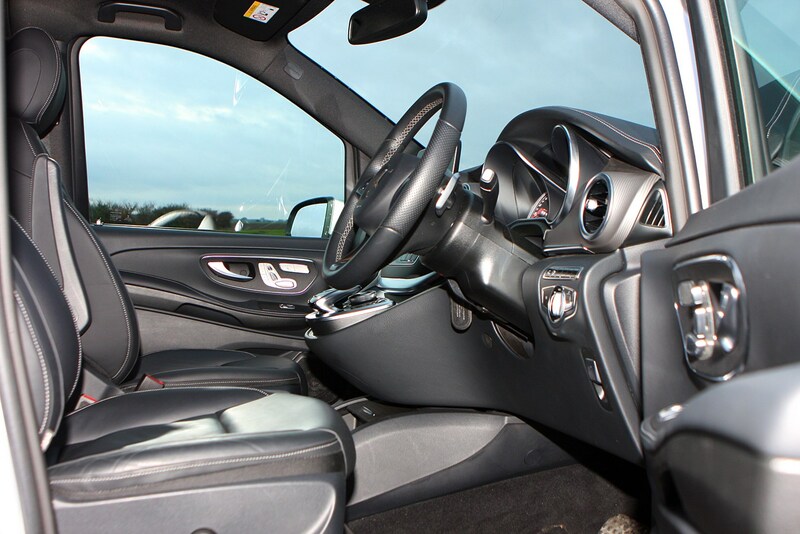 Its size may be intimidating for some drivers – and its height restricts access to multi-storey car parks – but essentially it’s both easy and comfortable to drive. 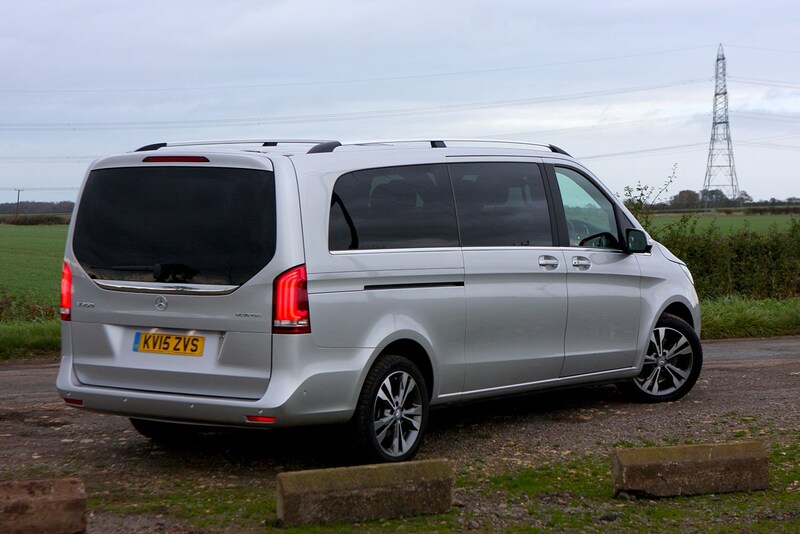 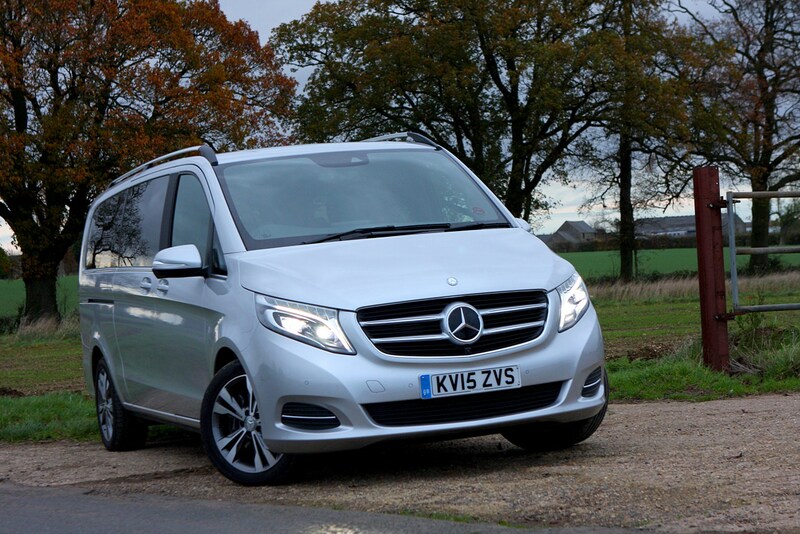 Read on for our full Mercedes-Benz V-Class MPV review to find out just how good the pinnacle of van-based MPVs really is.